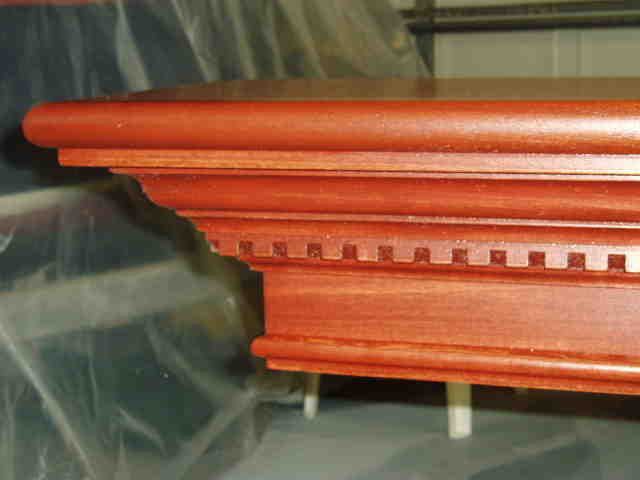 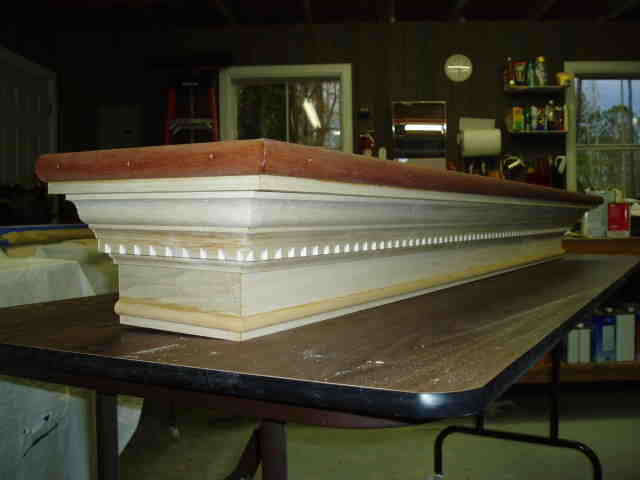 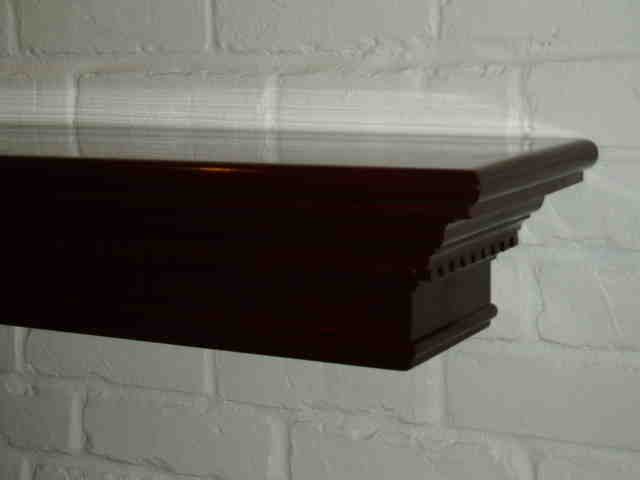 This mantle was customed from Poplar, stained with a rich mahogany and then finished with Minwax. 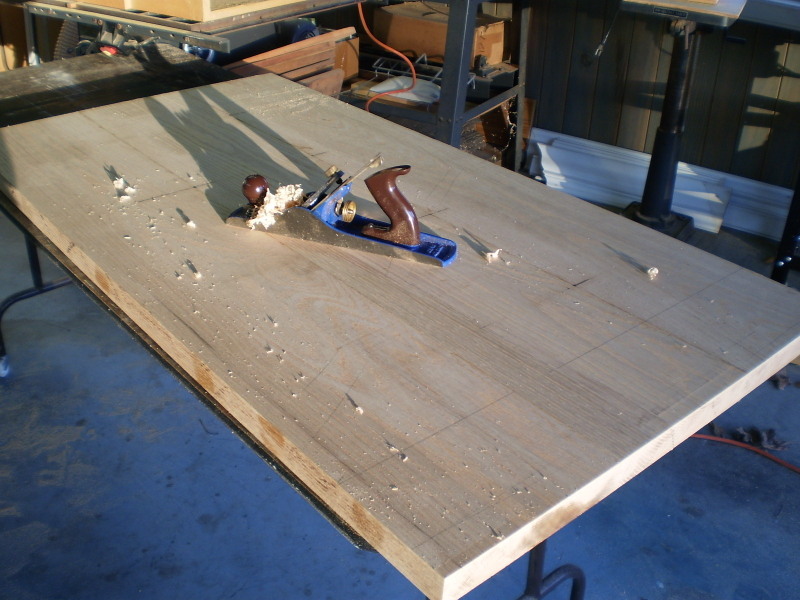 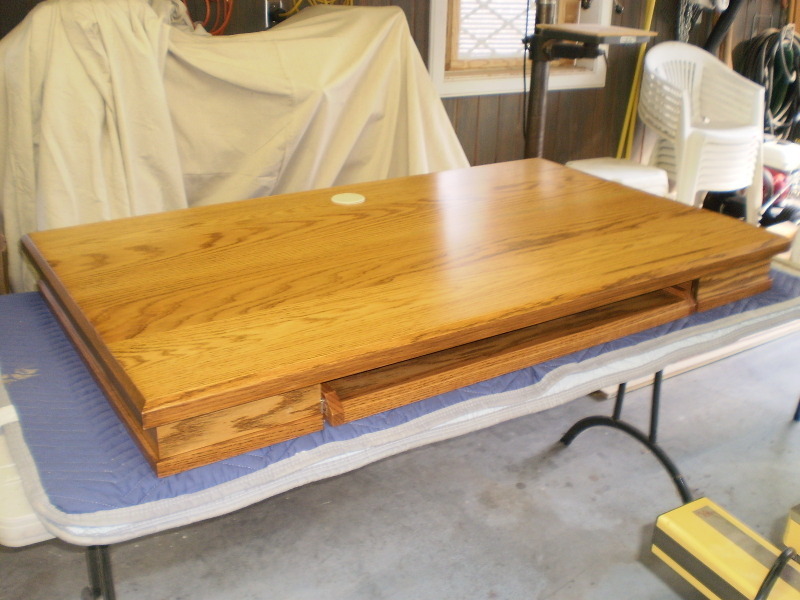 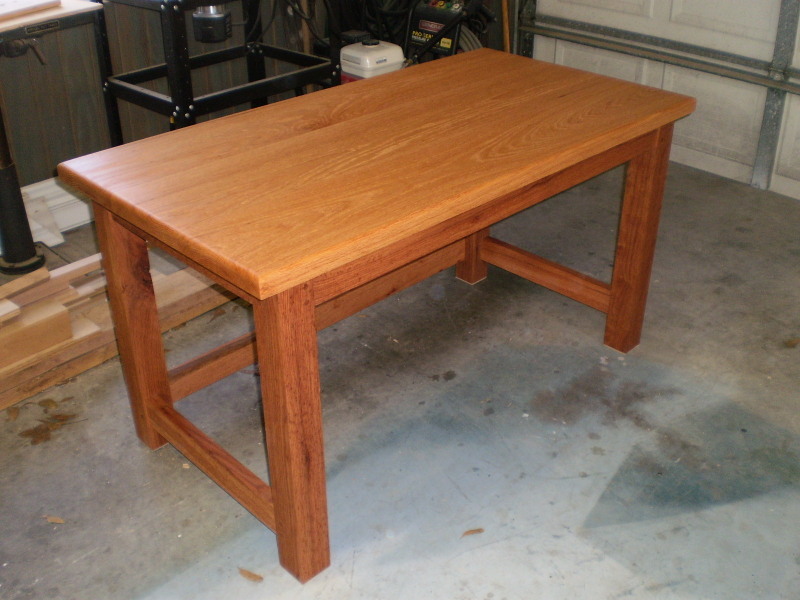 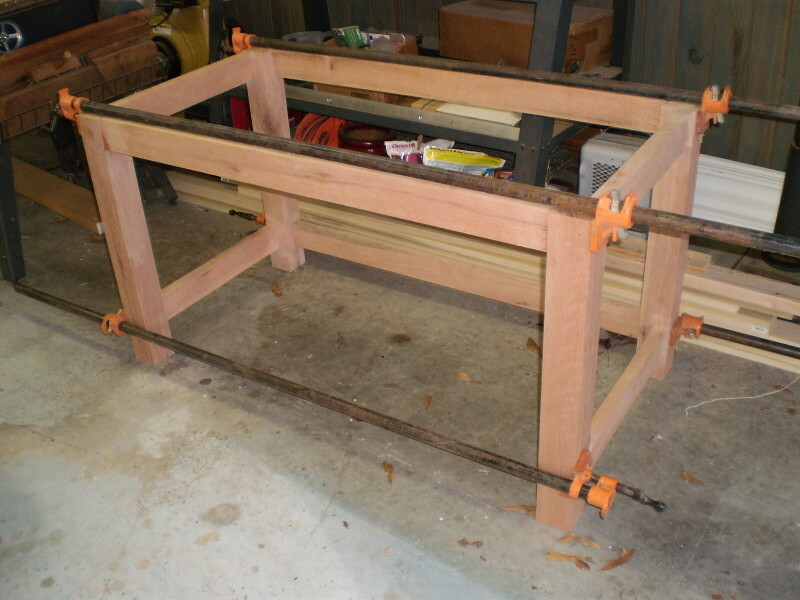 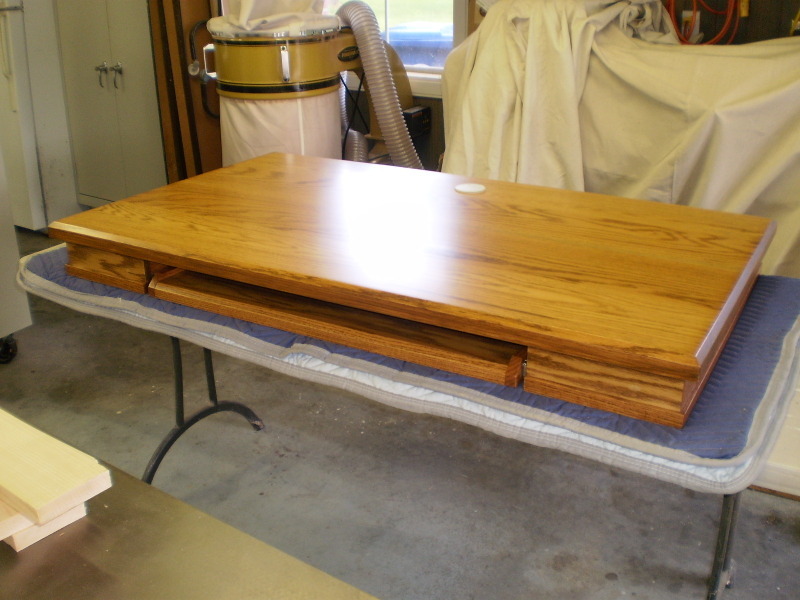 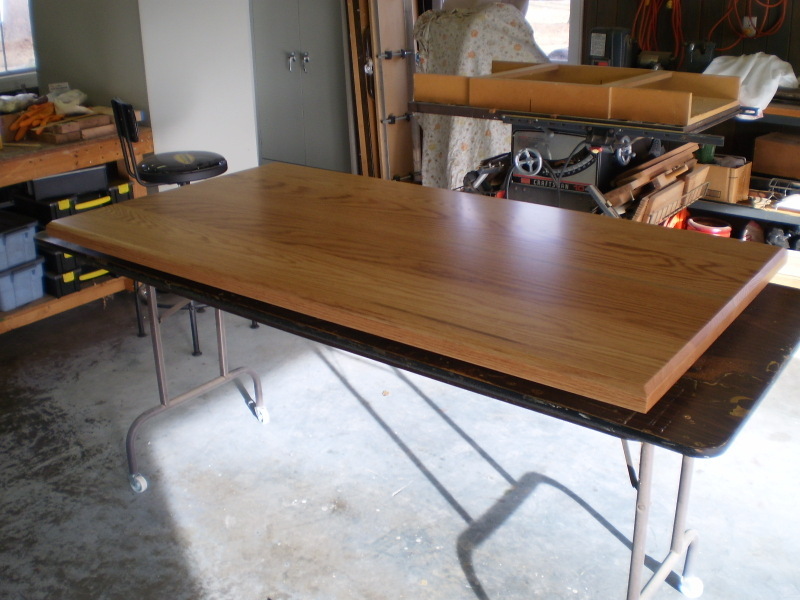 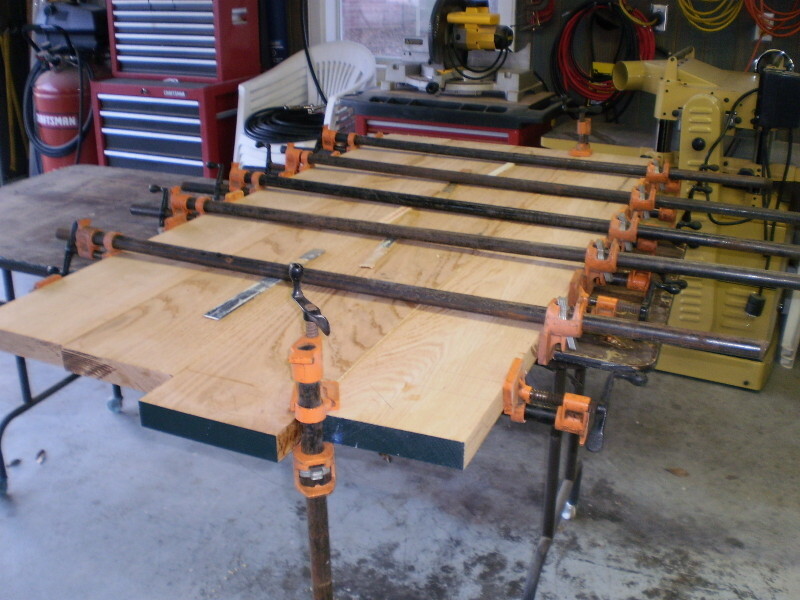 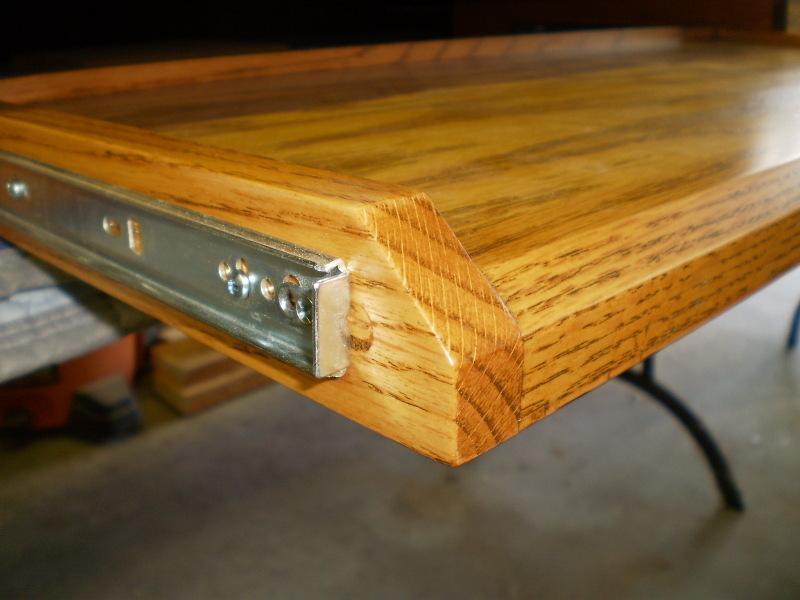 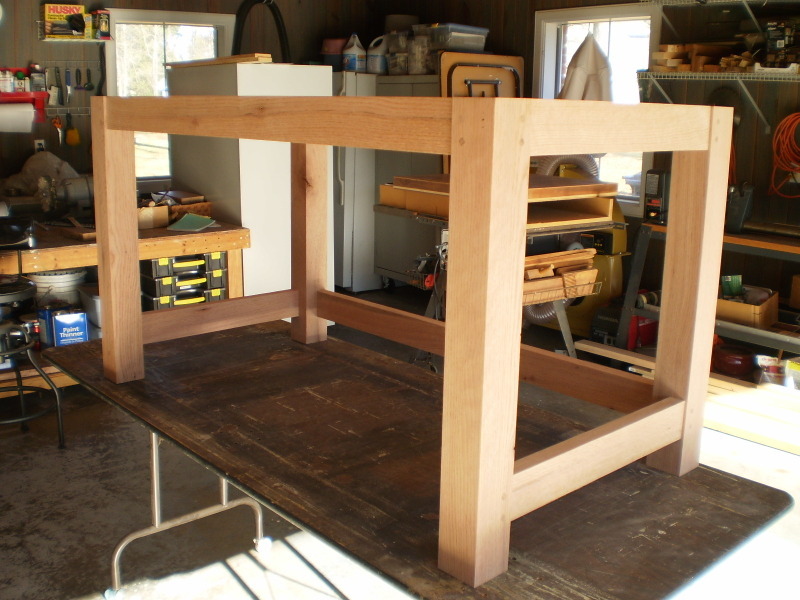 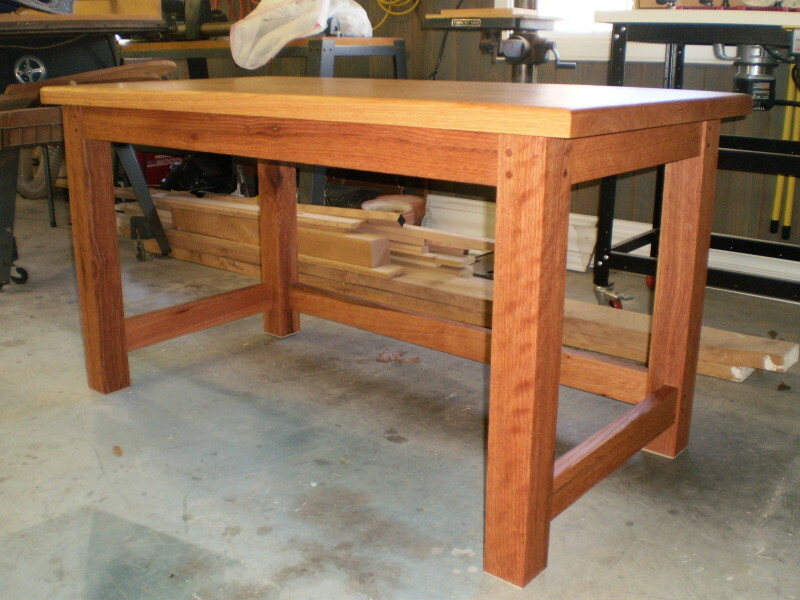 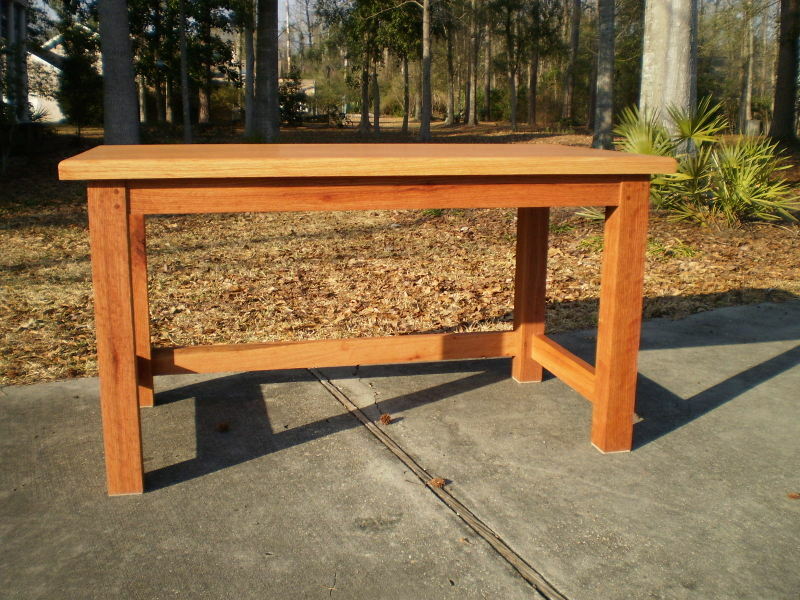 This customer wanted a heavy duty sewing table constructed. 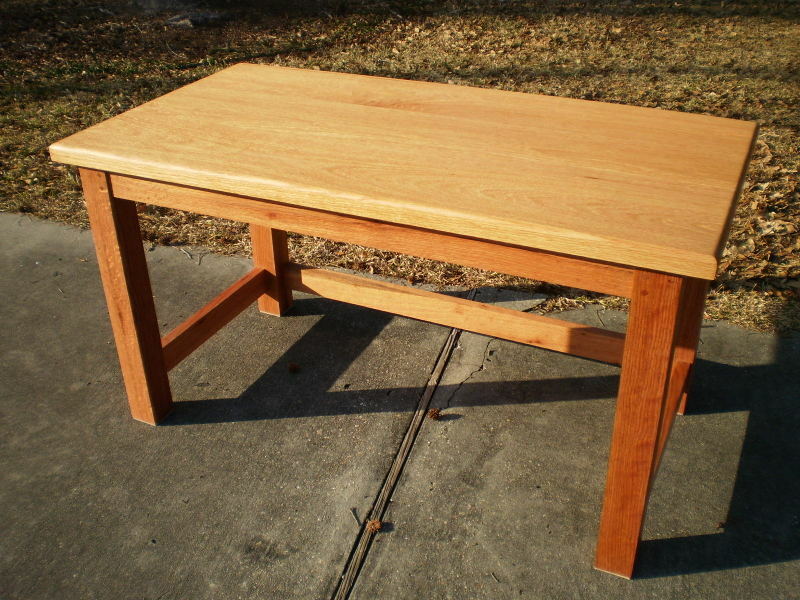 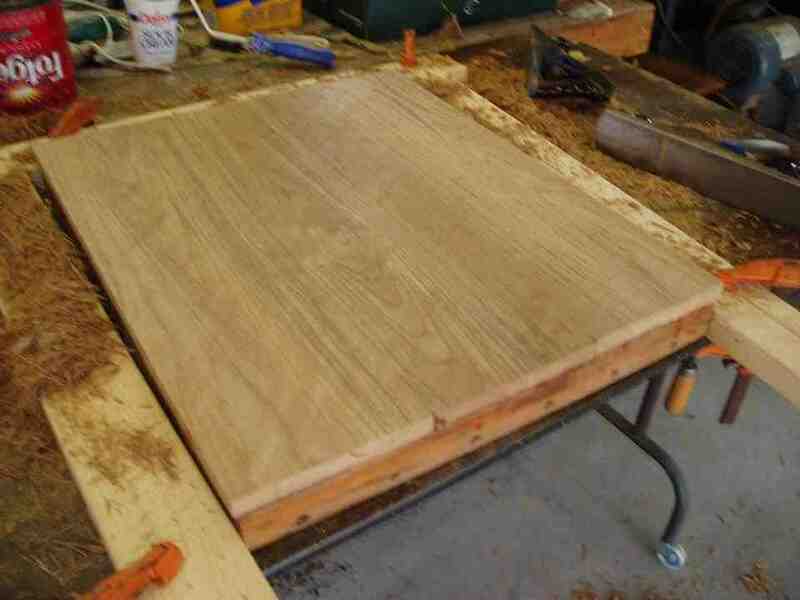 I used some red oak that I had squirreled away for a special project one day. 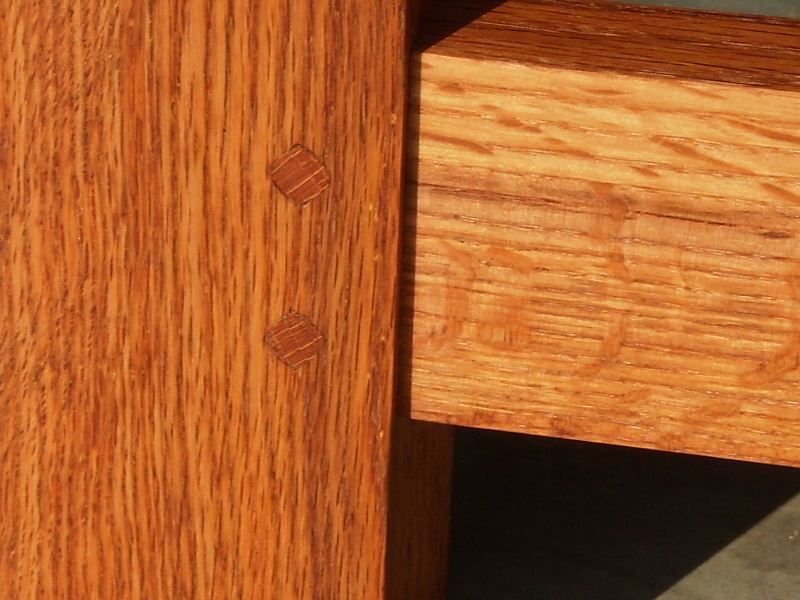 The joints are 1/2in mortise and tenon with 3/8in pegs. 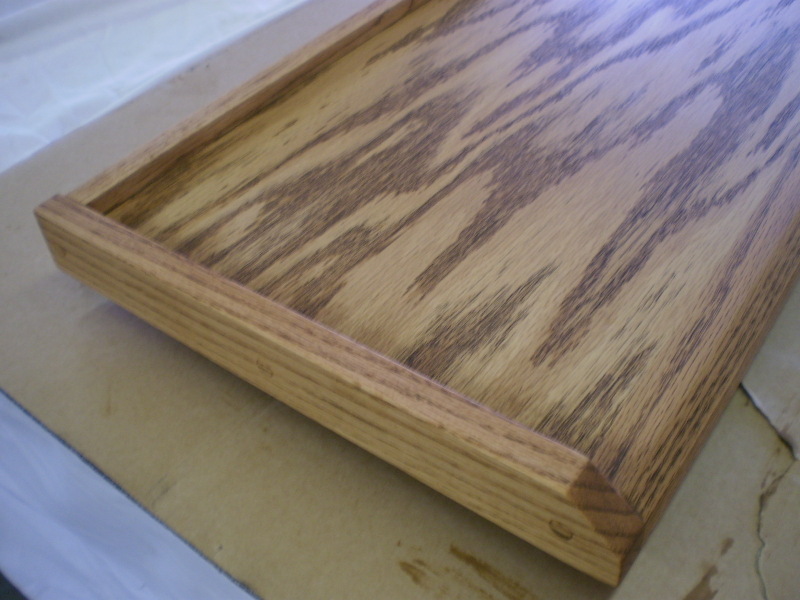 The finish is pure tung oil. 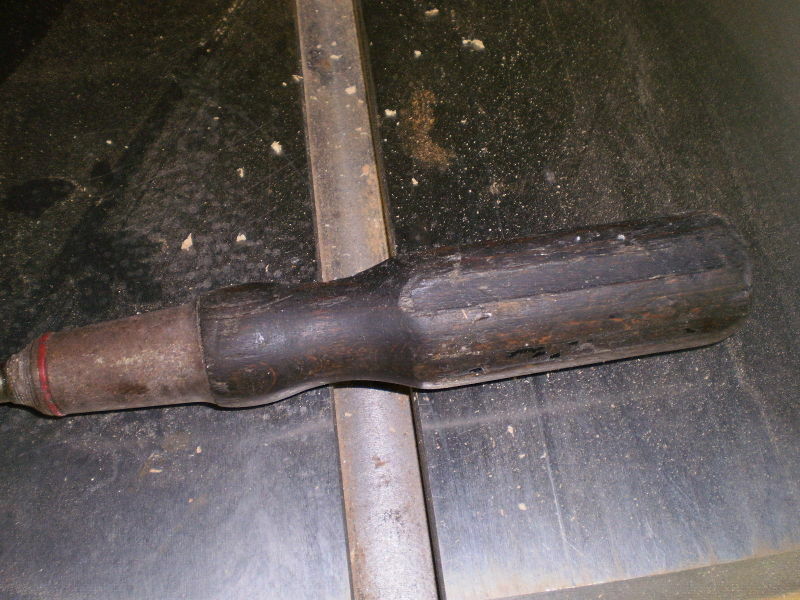 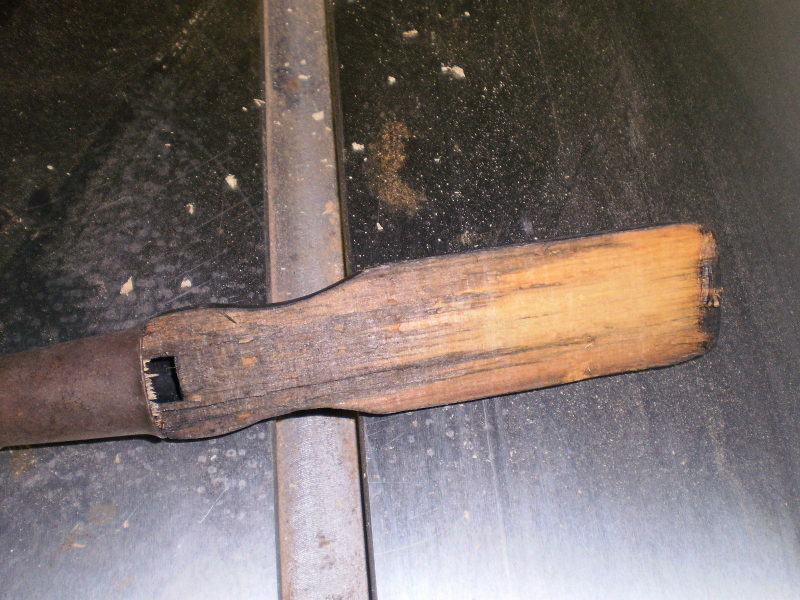 I also repair antique tools. 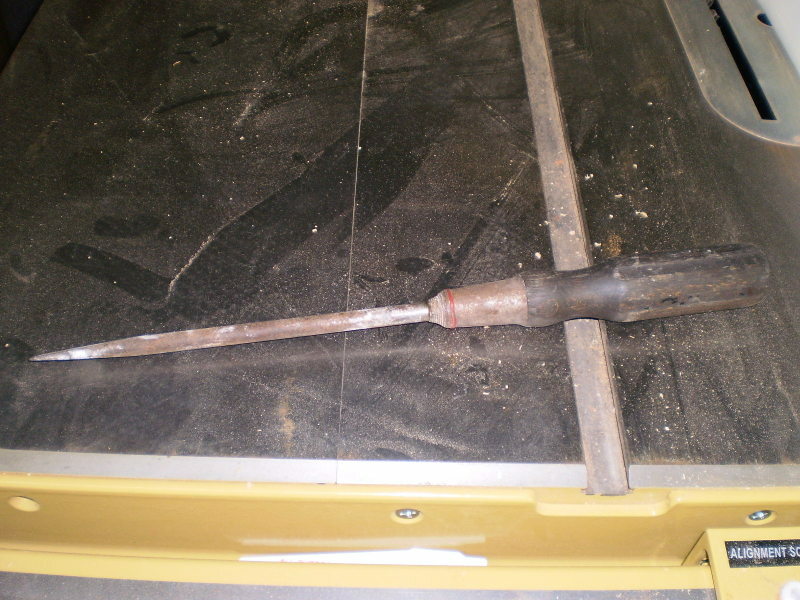 This very old screwdriver needed a replacement handle. 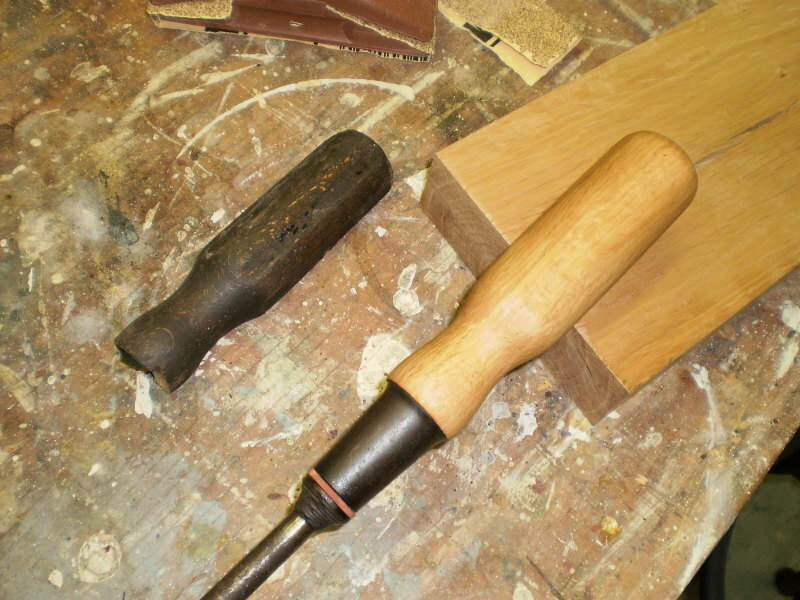 I had some live oak and turned a handle and fitted in the tapered ferrule ending with Tung Oil. 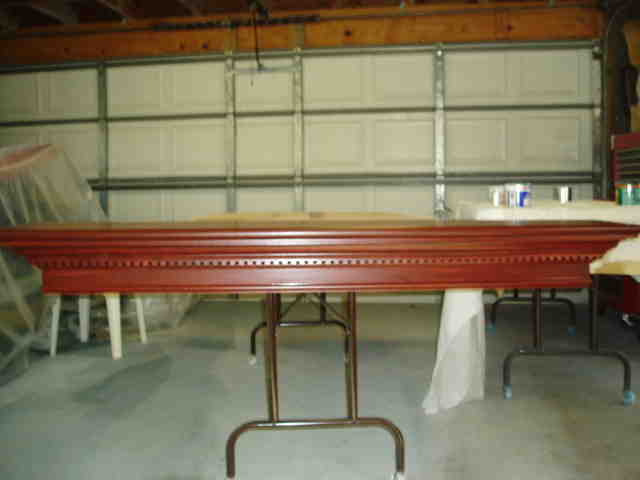 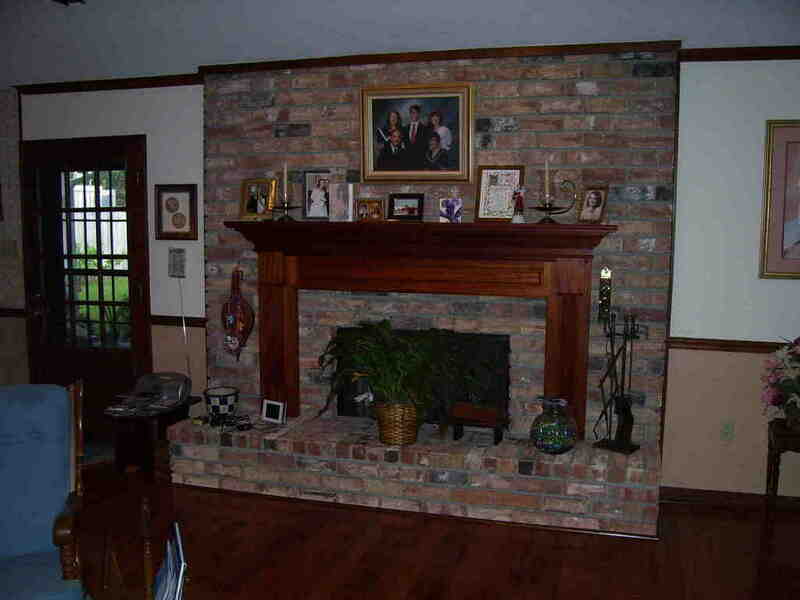 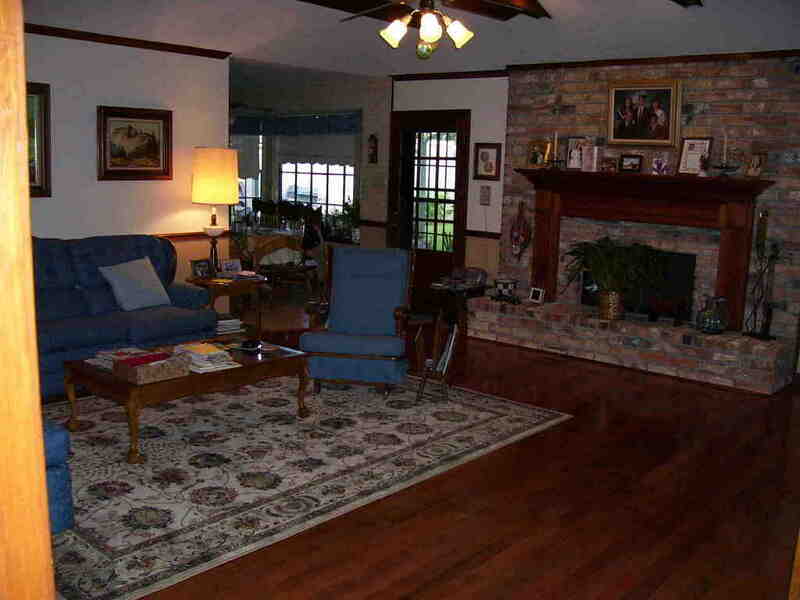 This is a solid mahogany fireplace mantle and surround. 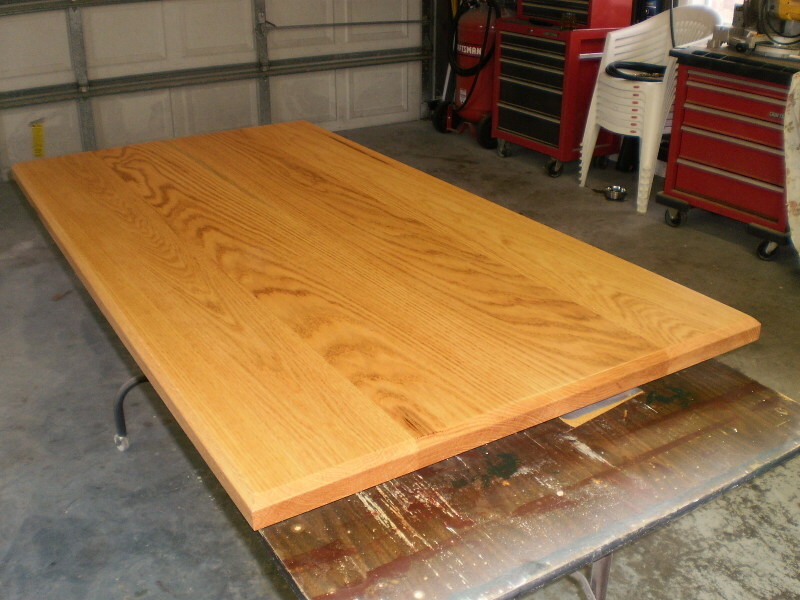 I used Behre Oil. 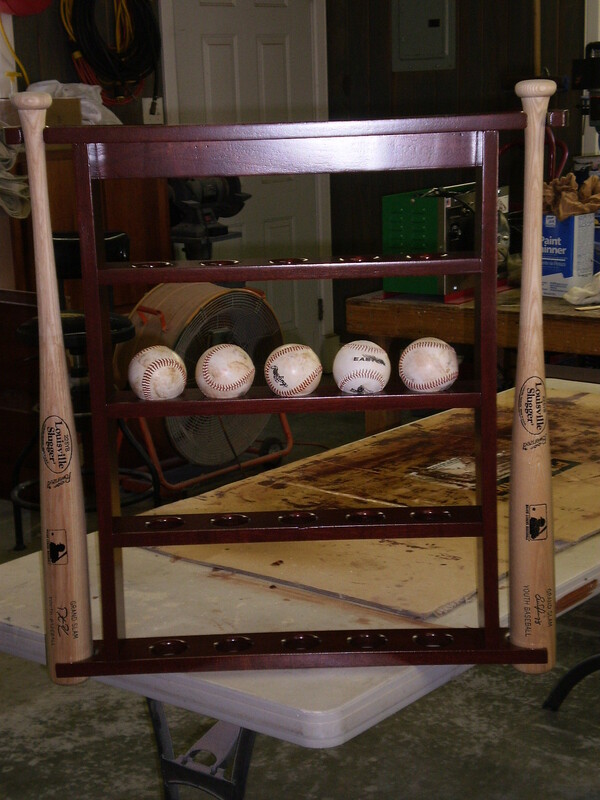 It will only get better looking over time! 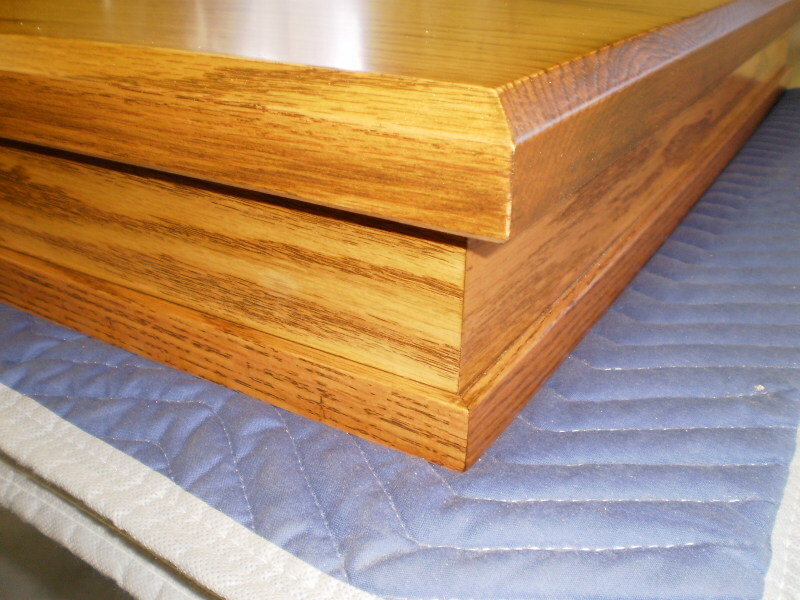 Here's another example of a custom construction. 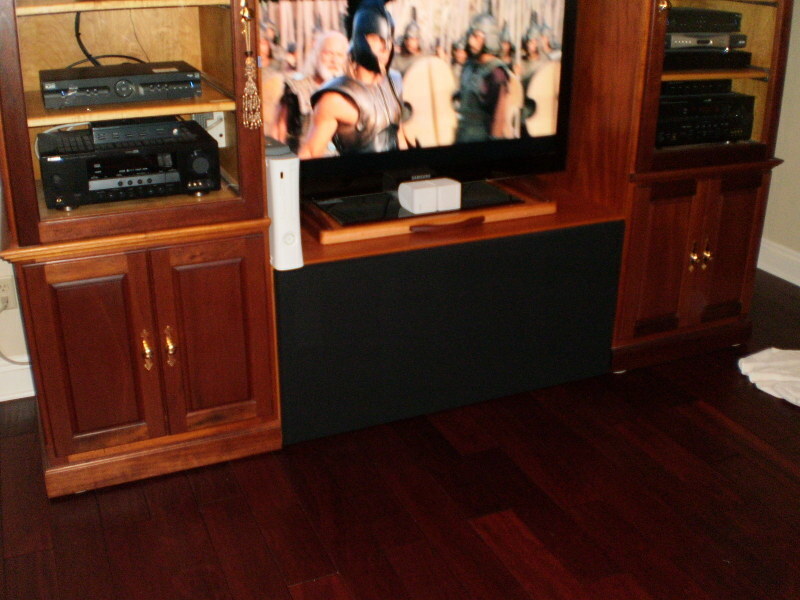 The client wanted a quality entertainment cabinet centered around their 60" rear projection TV. 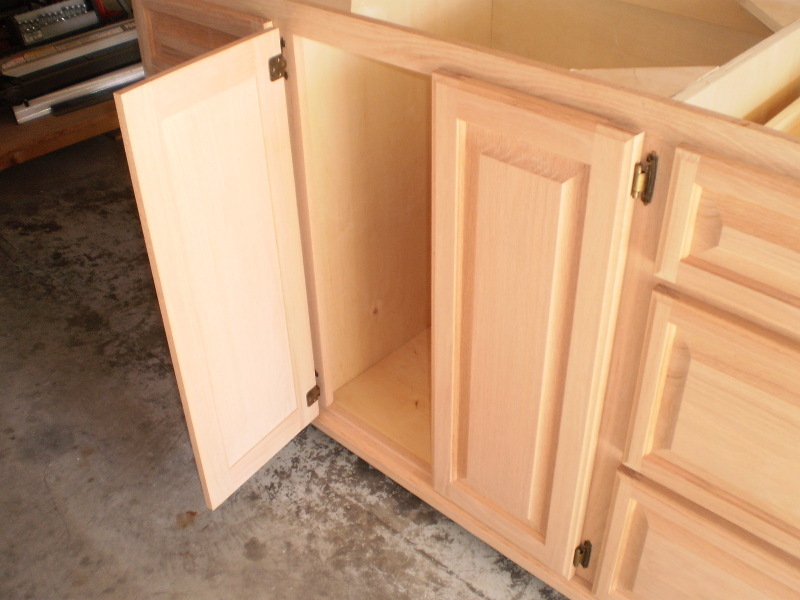 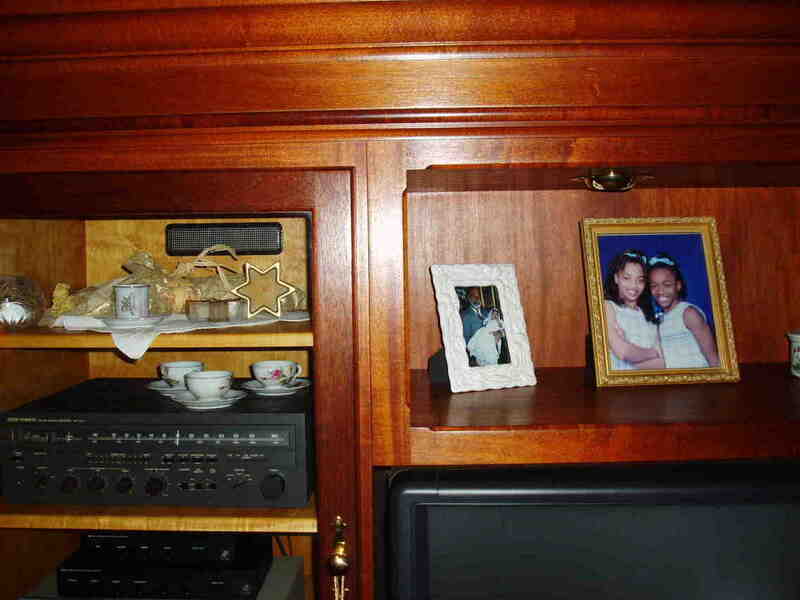 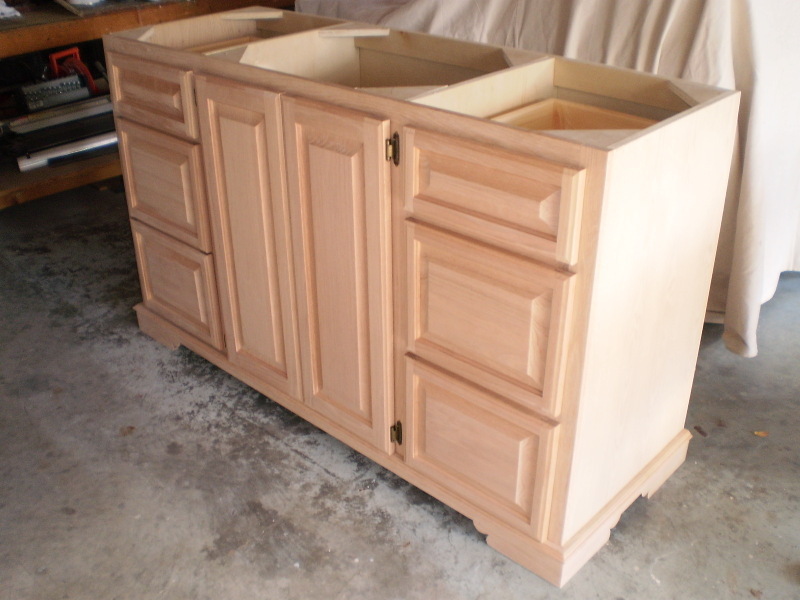 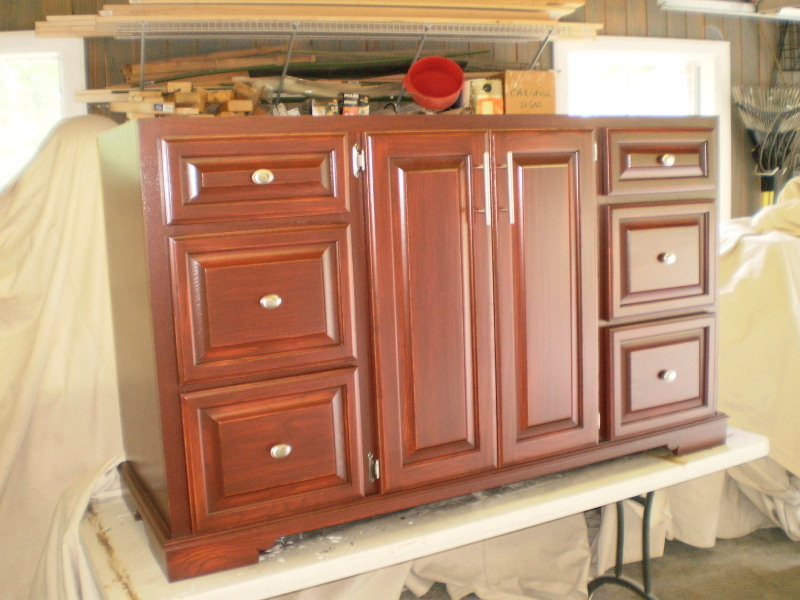 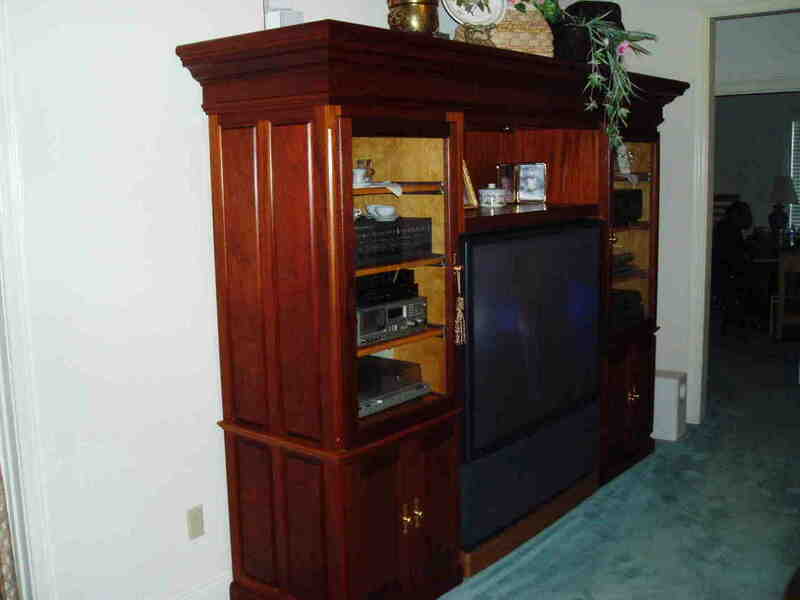 The unit is made of birch cabinets and solid genuine mahogany trim. 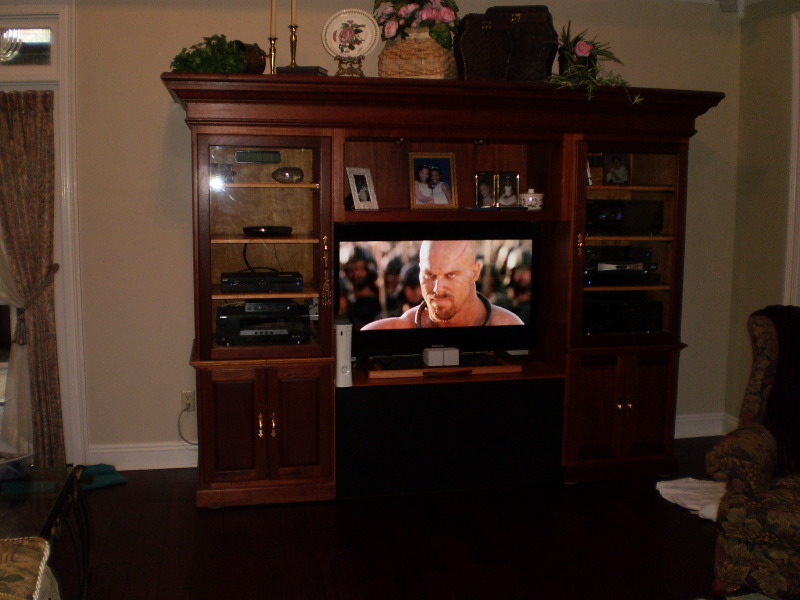 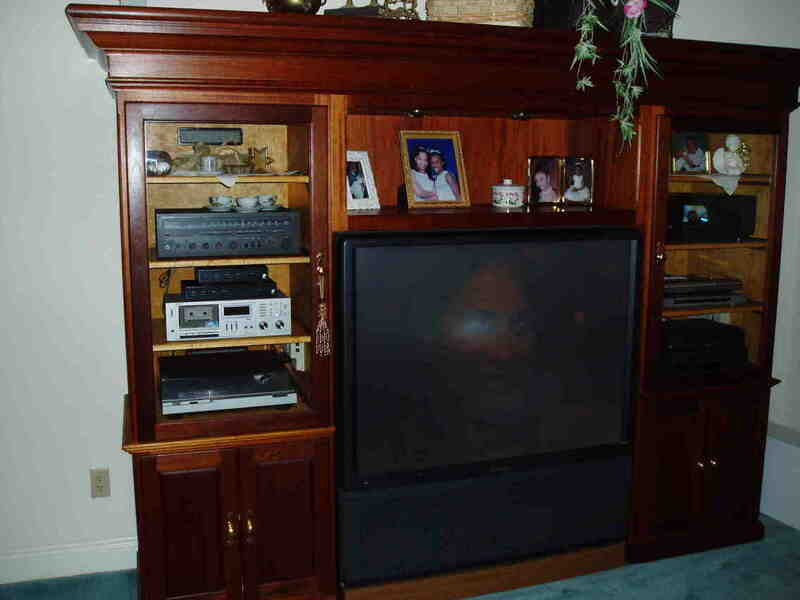 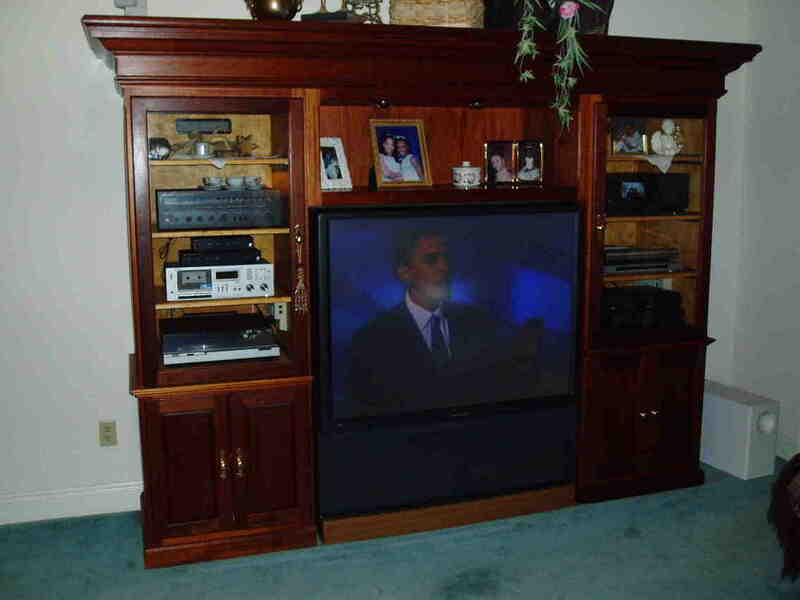 The previous customer replaced their rear projection TV with a flat panel. 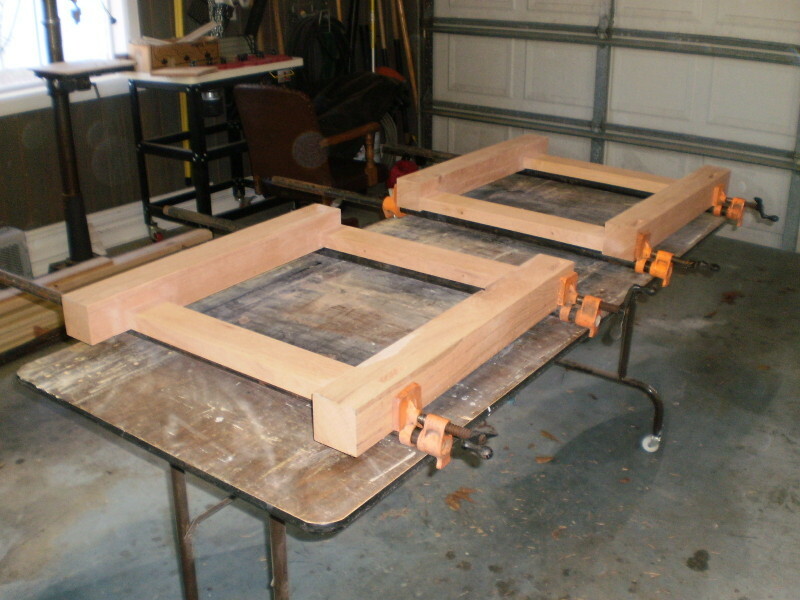 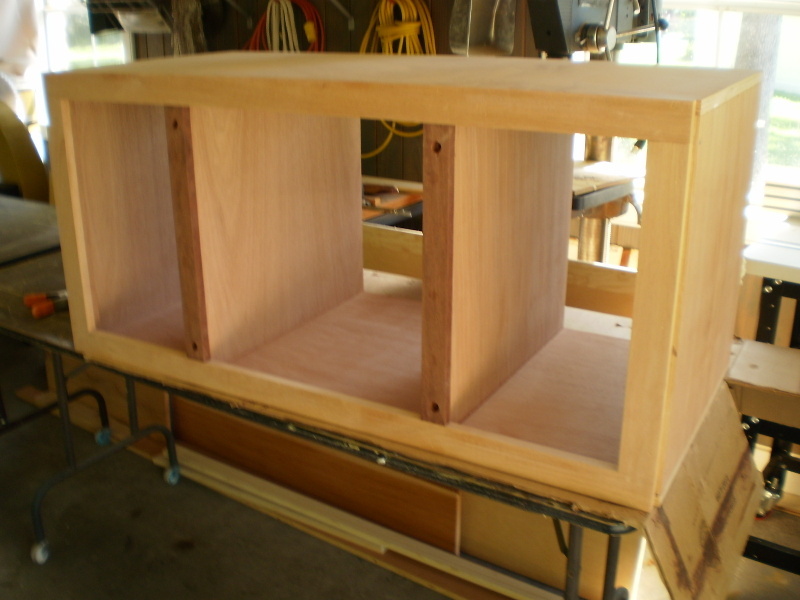 That meant fabricating a cabinet to fit the entertainment center before coating with Behre Tung Oil. 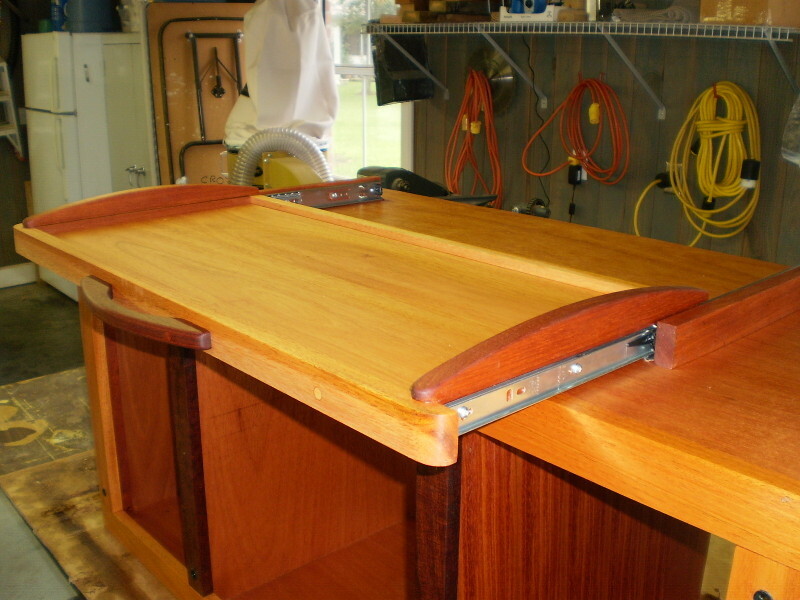 Note the sliding shelf with custom handle. 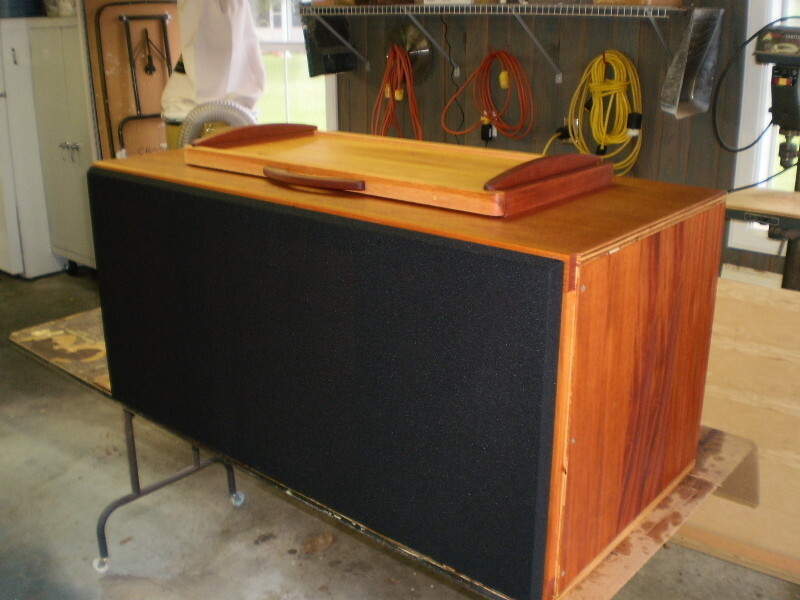 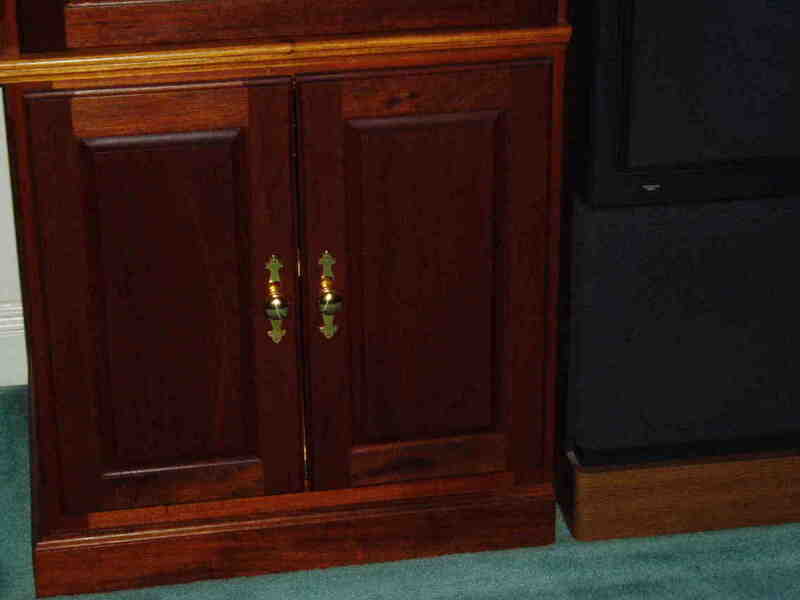 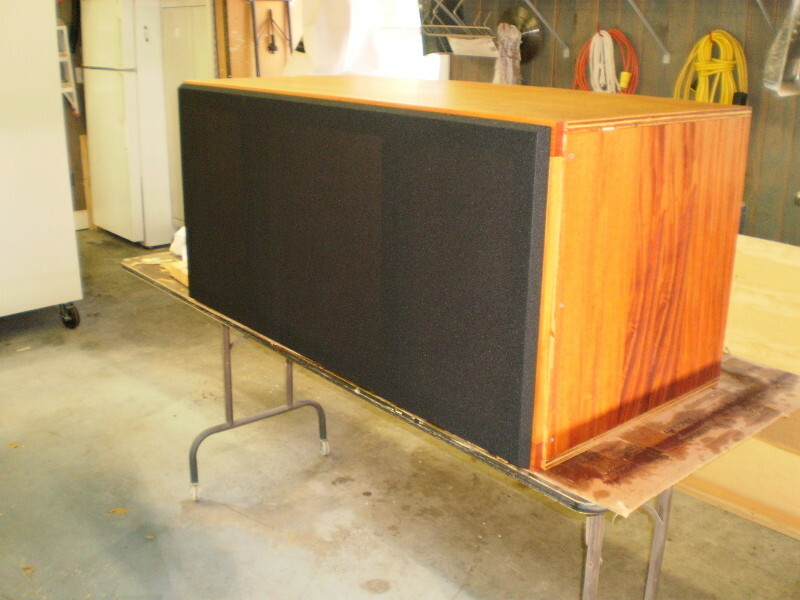 The cabinet has 3 sections for sub-woofer and other speakers. 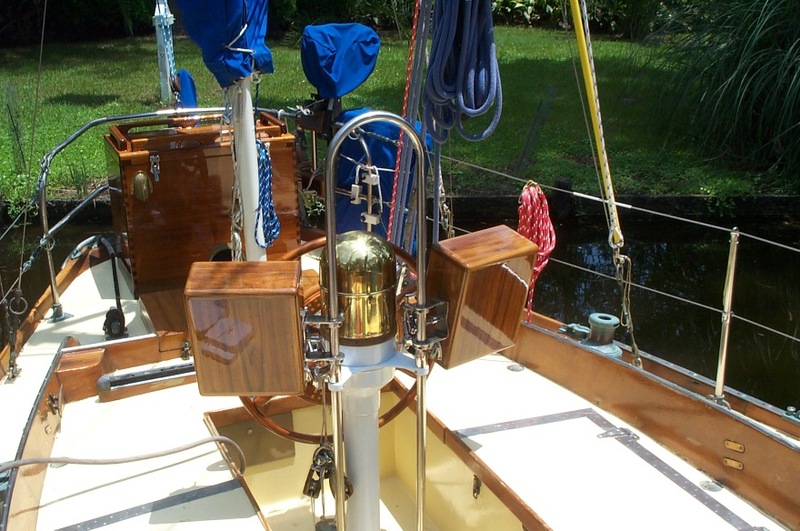 I also perform complete restoration or constructions of various boat projects. 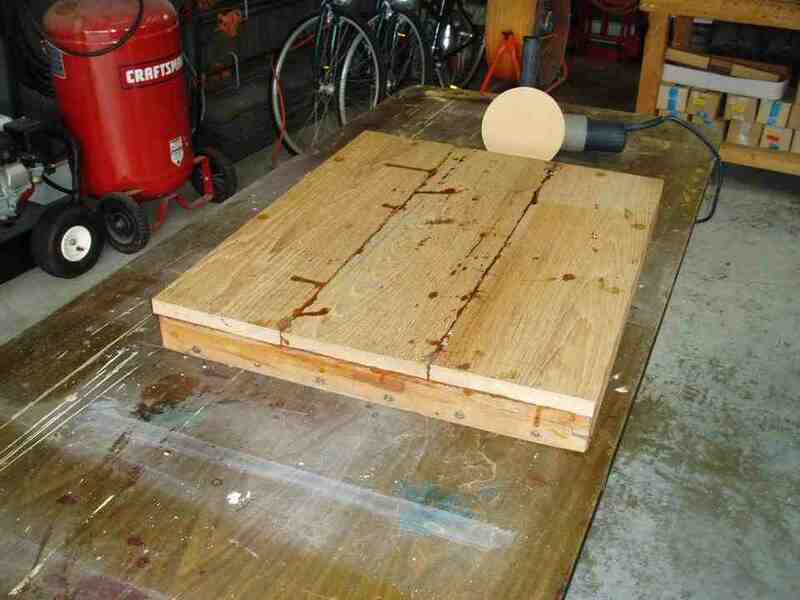 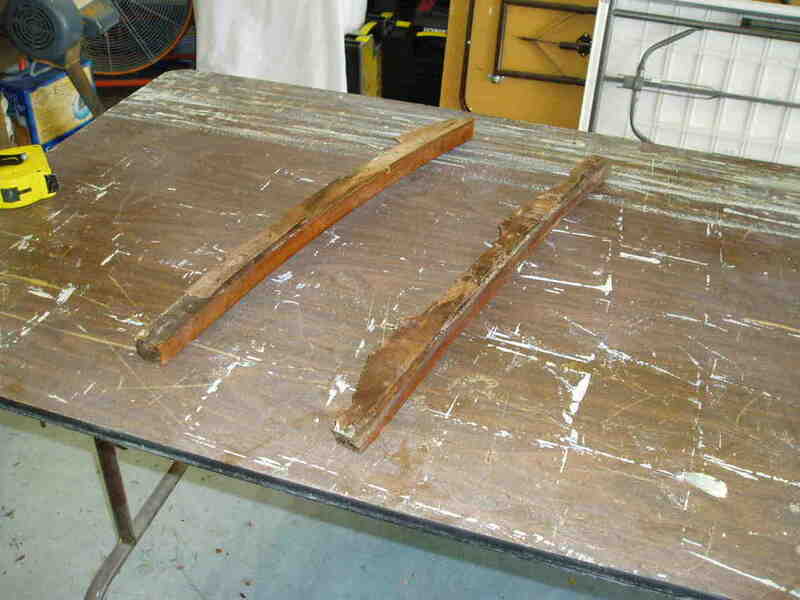 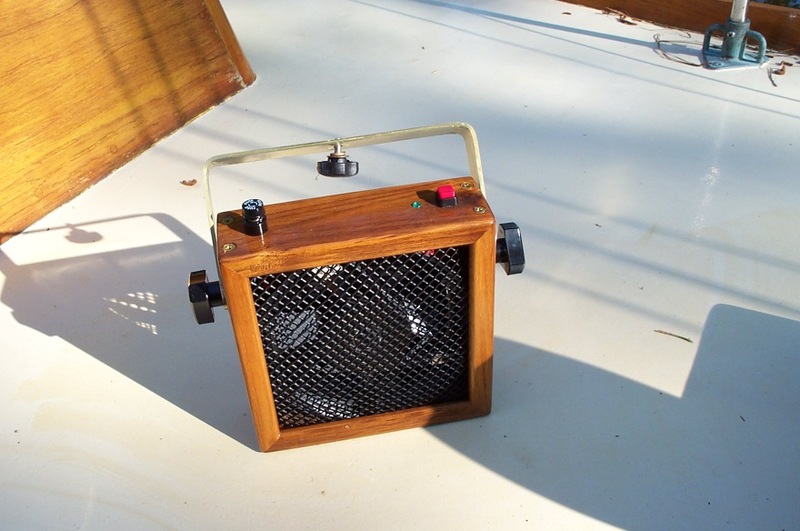 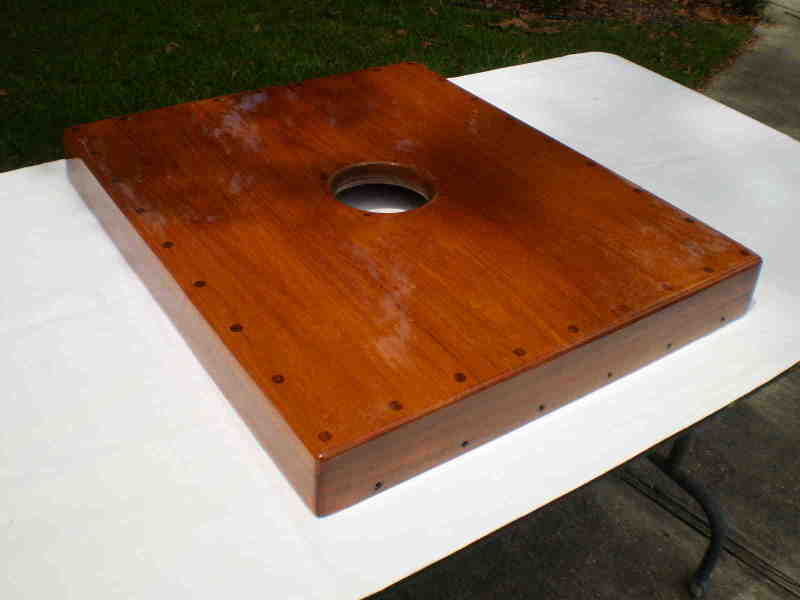 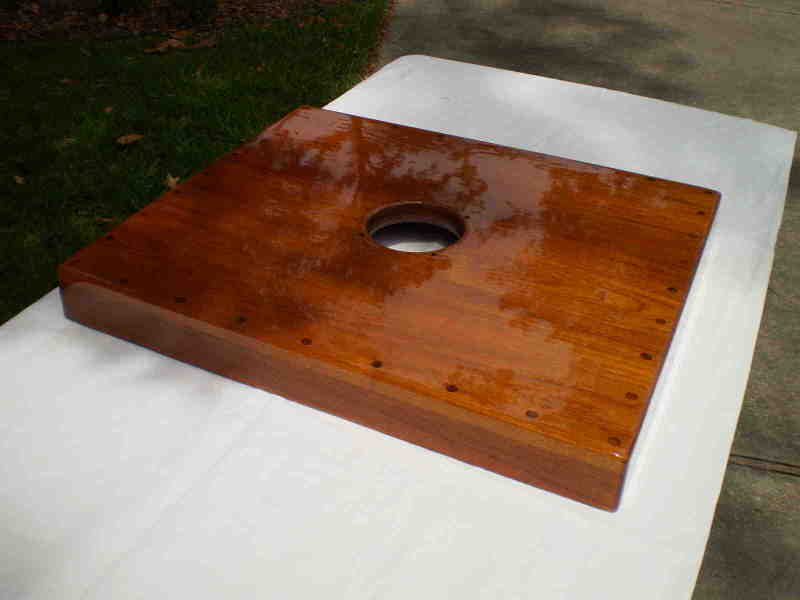 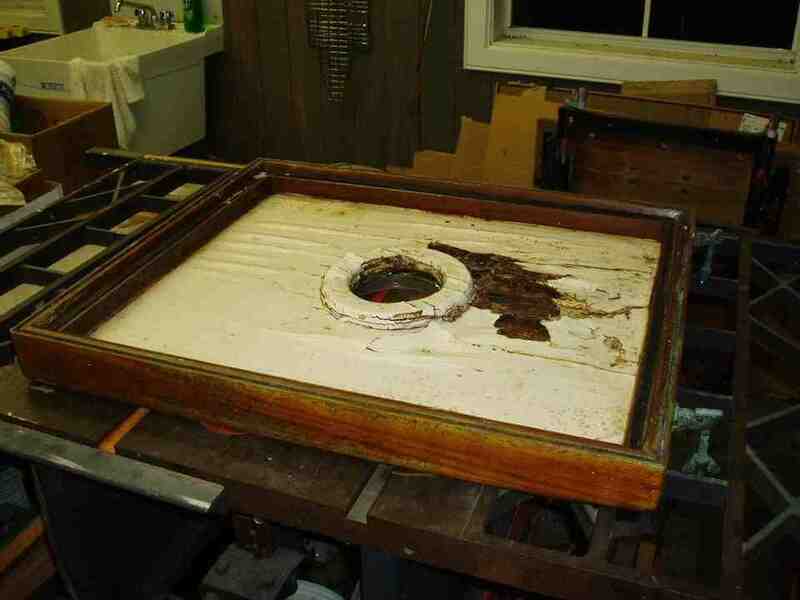 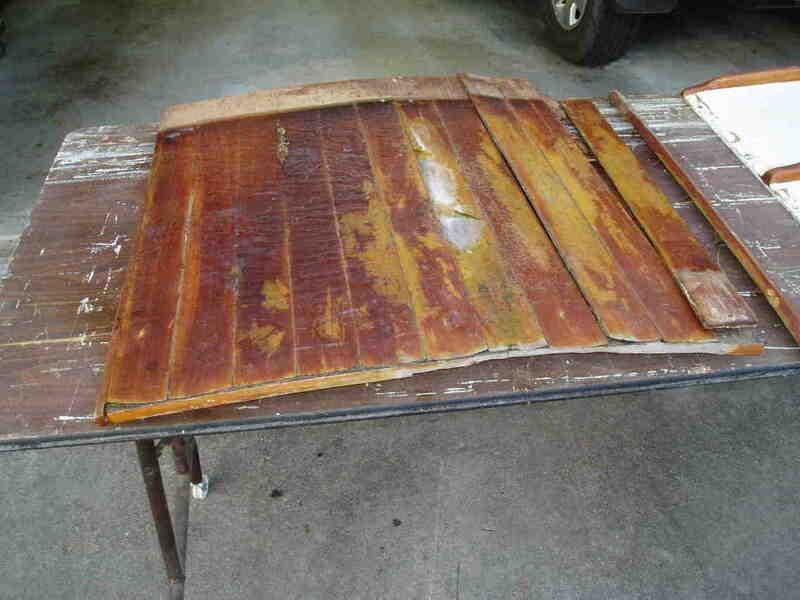 This is a forward hatch for a 1965 Tor 40 sailboat. 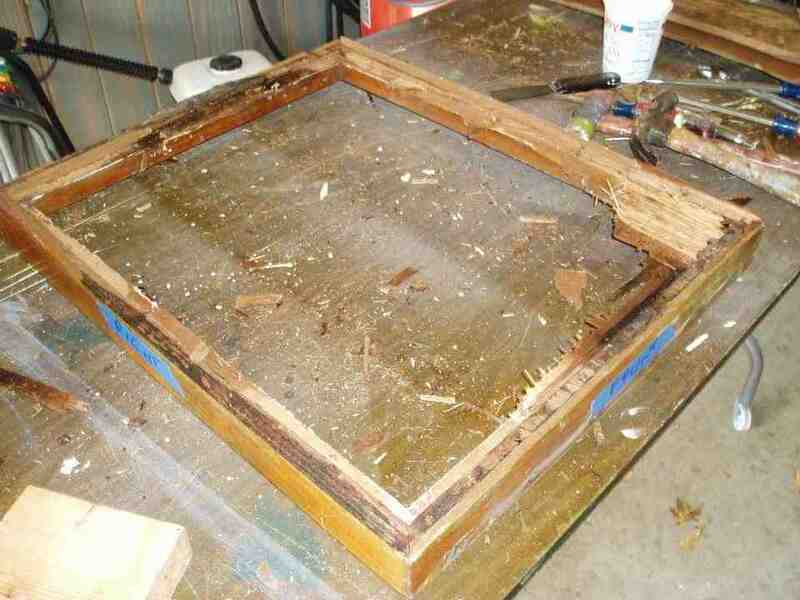 Only the original frame was salvageable. 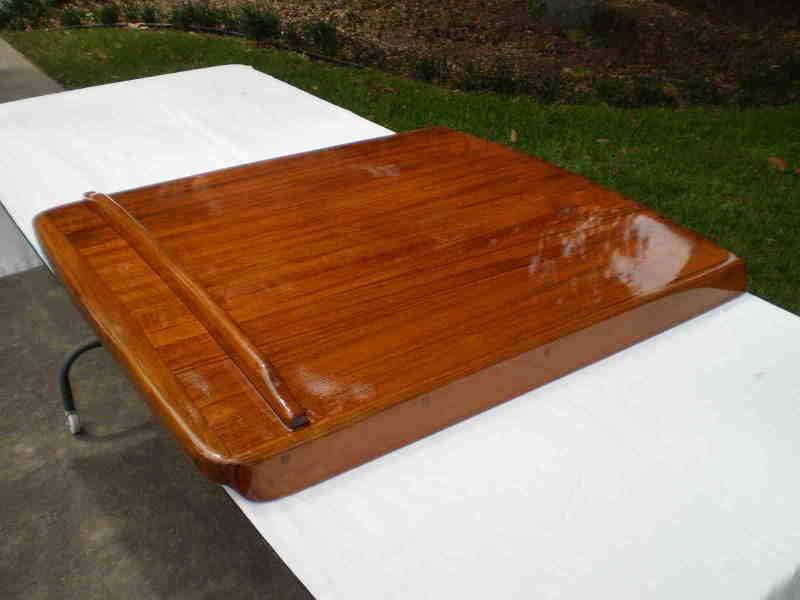 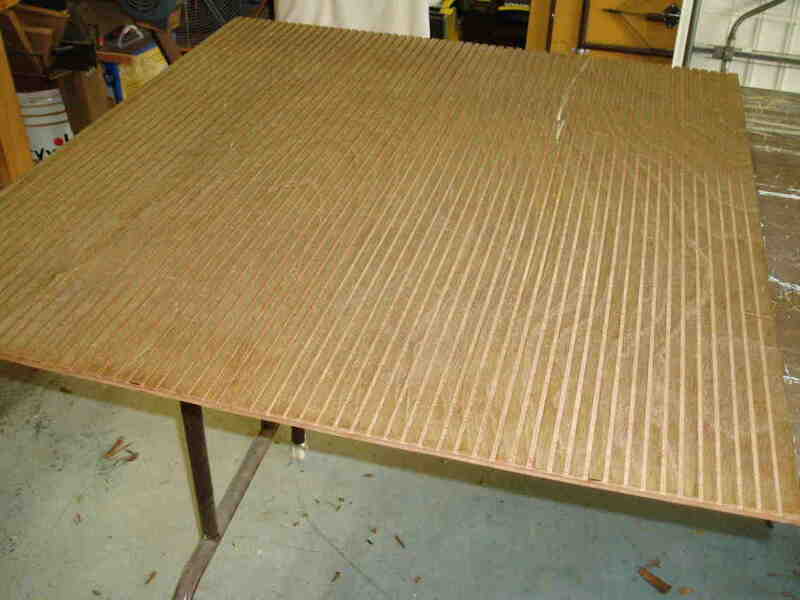 A replacement solid Teak top was crafted and the new hatch maintains the same lines of the original but now is much stronger. 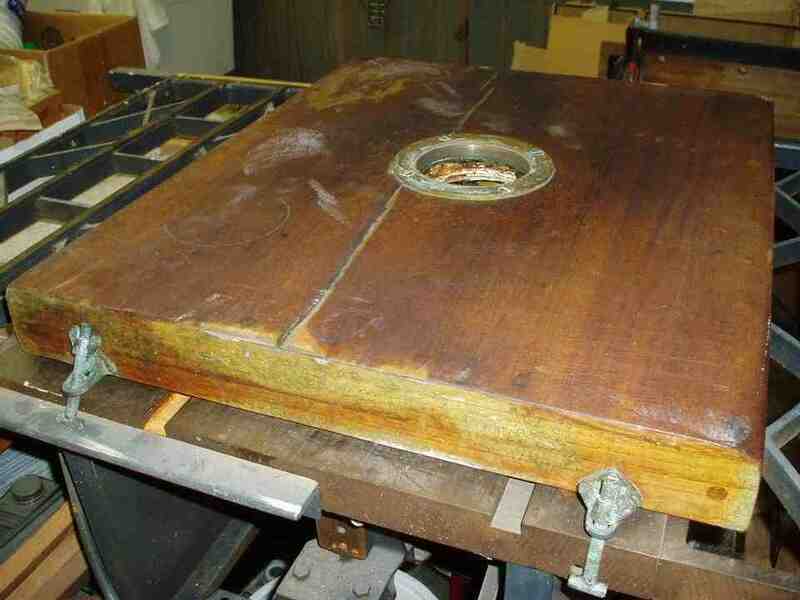 The same boat owner needed a replacement and stronger companion way hatch fabricated. 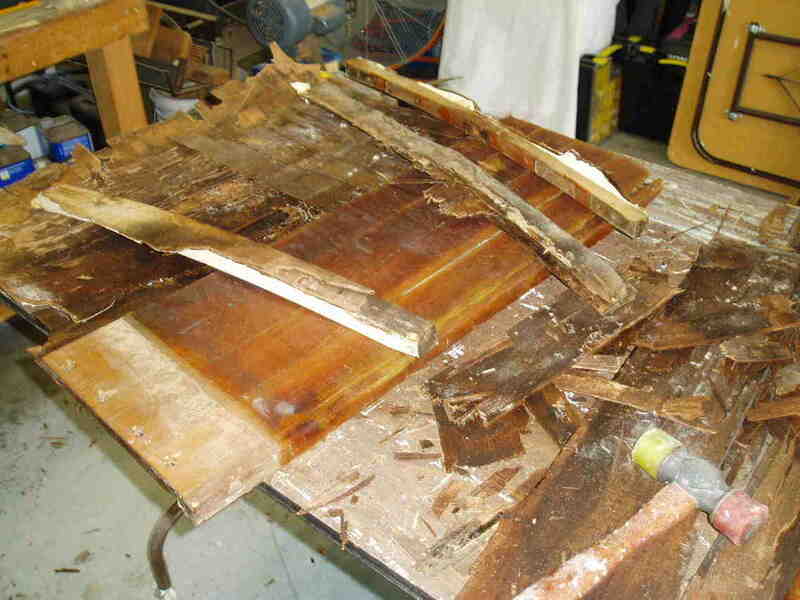 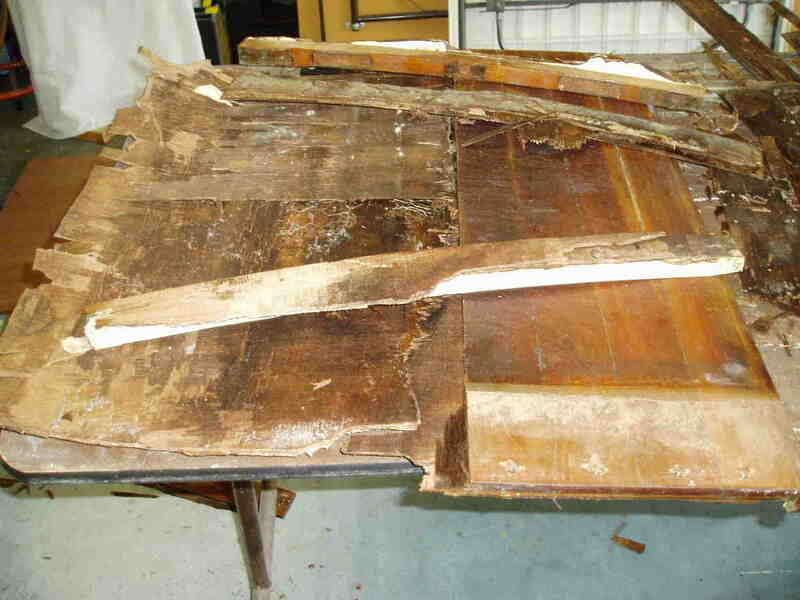 All that was salvageable from the existing hatch were 2 ribs, which were used to provide a framework to build on. 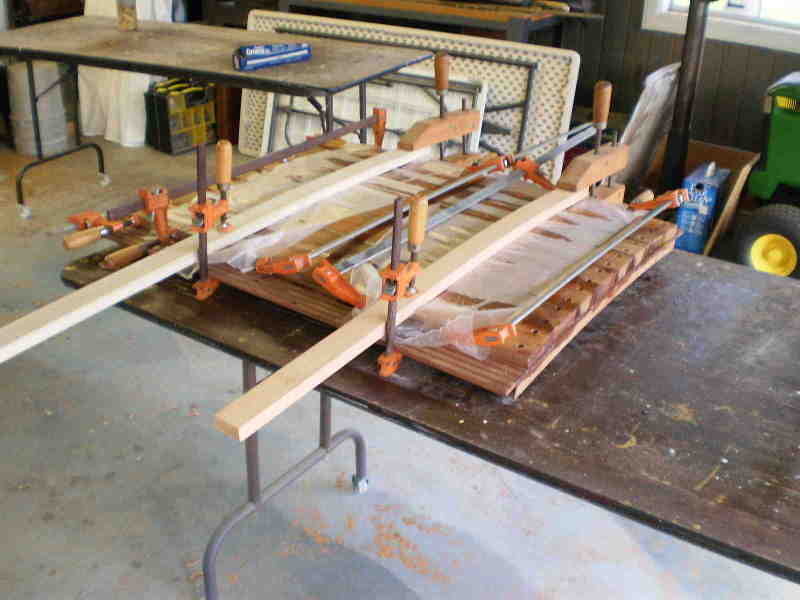 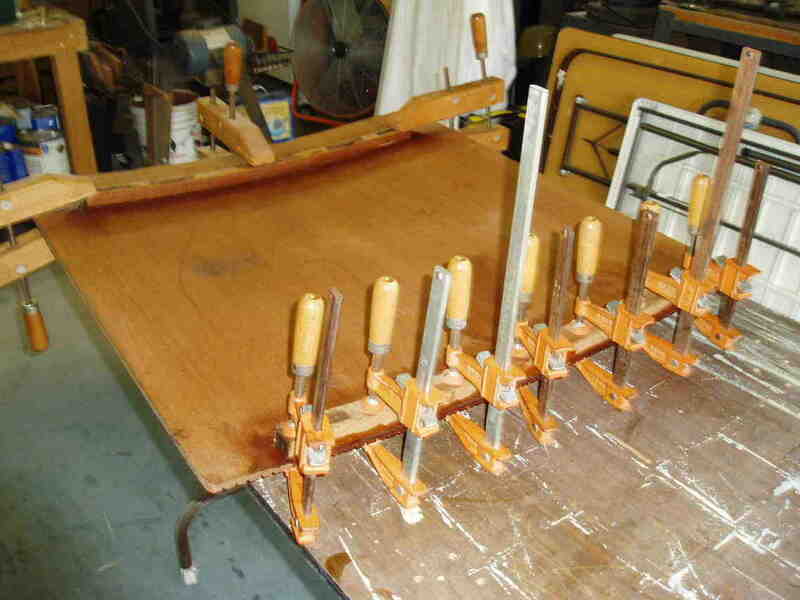 Some more projects for the same wooden sailboat. 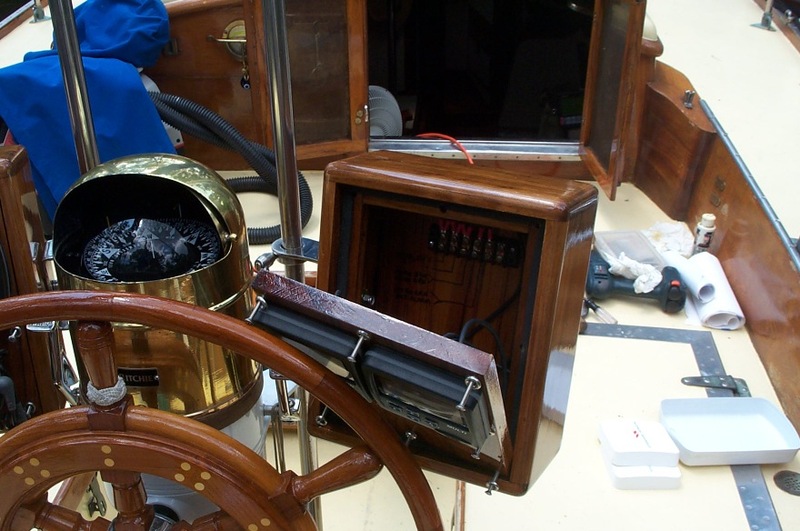 Here we have some instrument and fan enclosures. 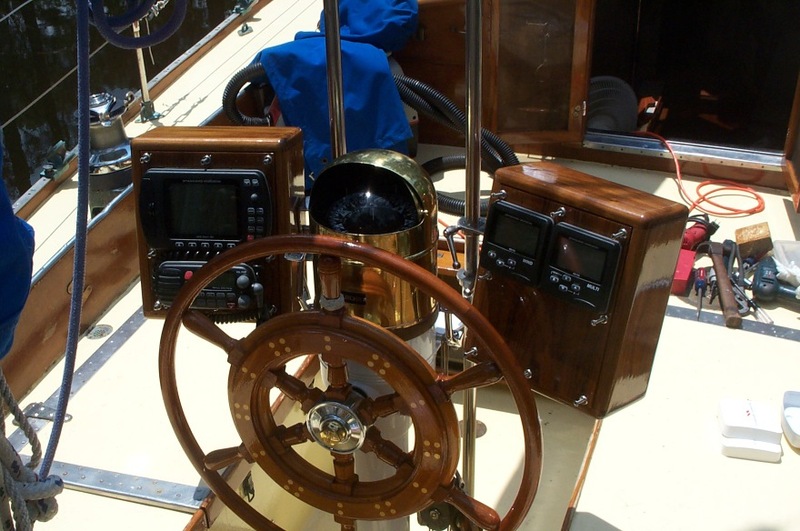 All made of Teak and finished with Epifanes marine varnish. 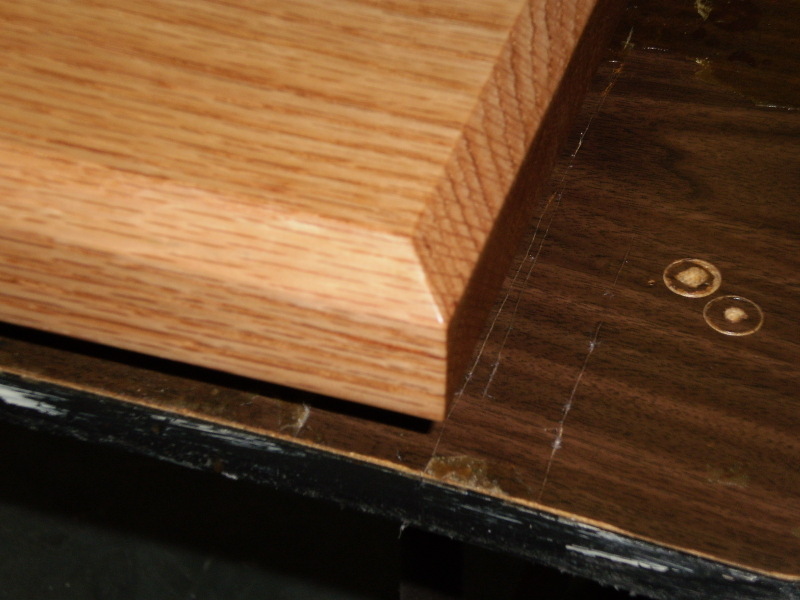 A customer wanted a quality computer desktop. 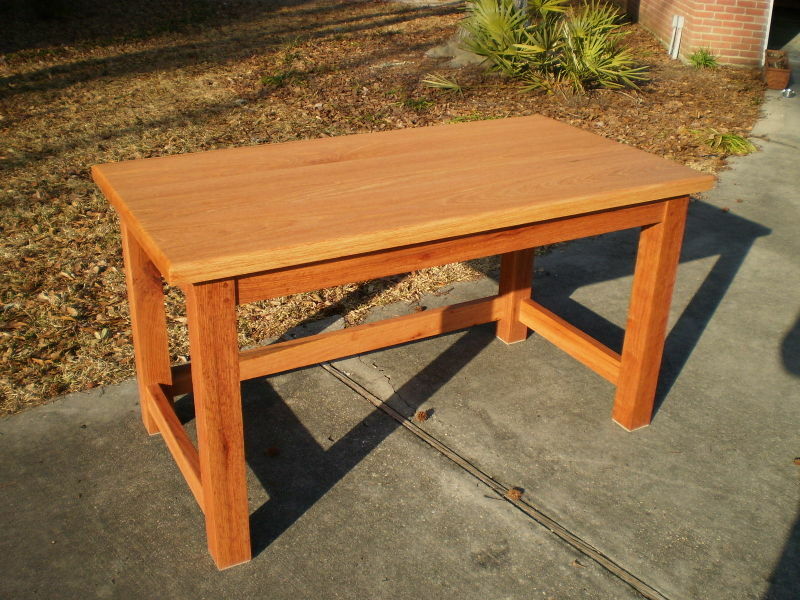 This desk is made of solid Red Oak. 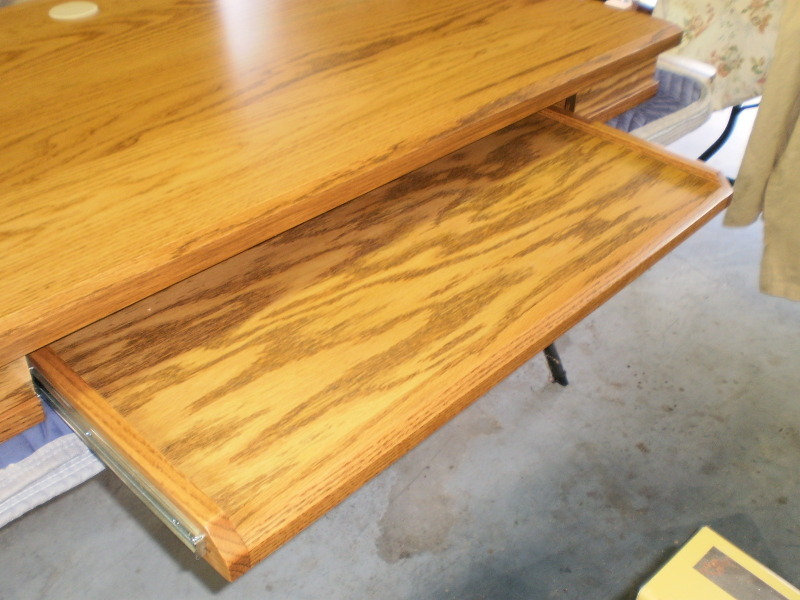 I used a Zar stain with conversion varnish. 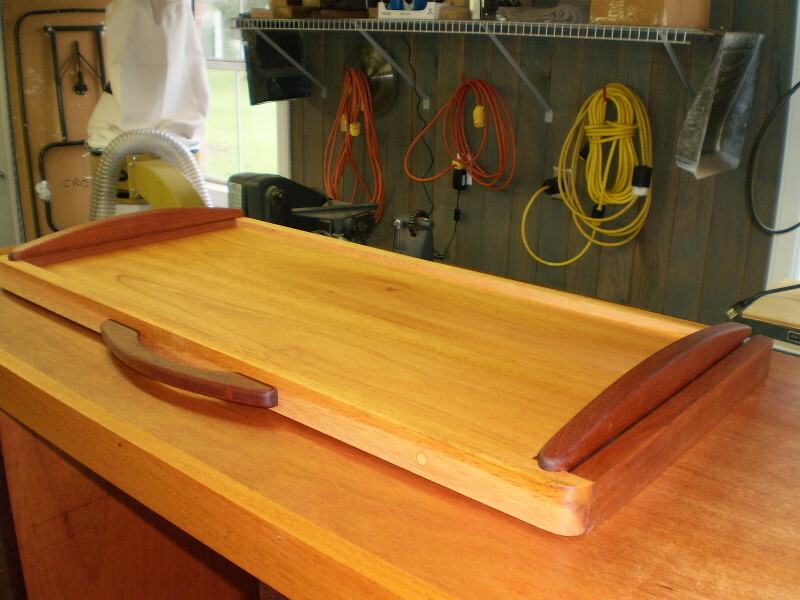 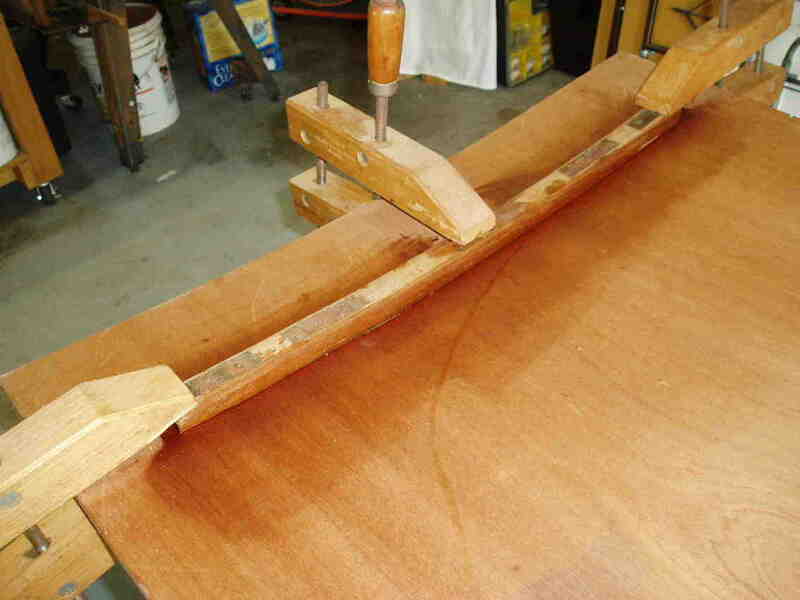 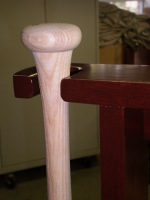 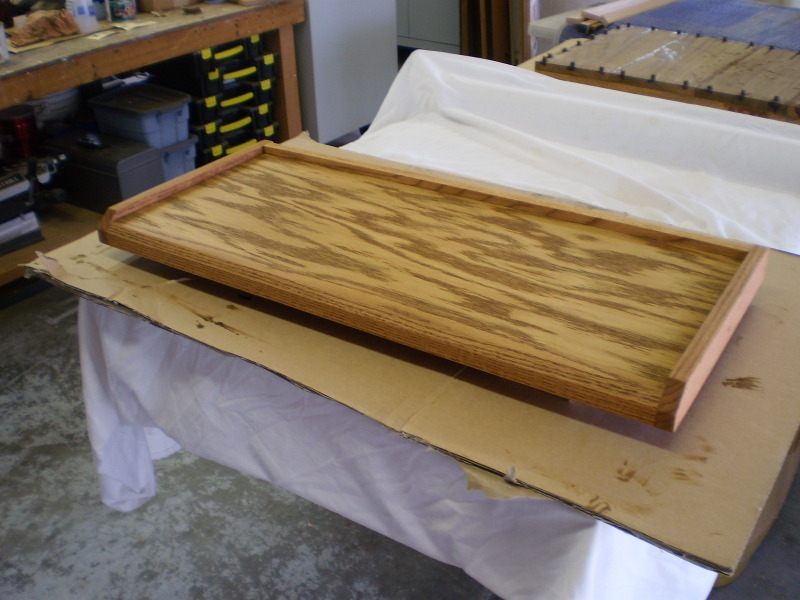 The apron is trimmed with solid Red Oak. 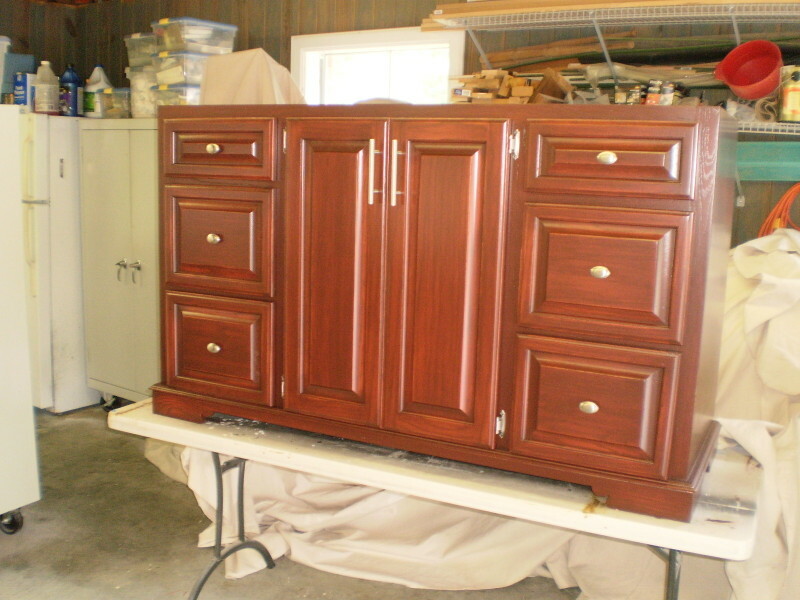 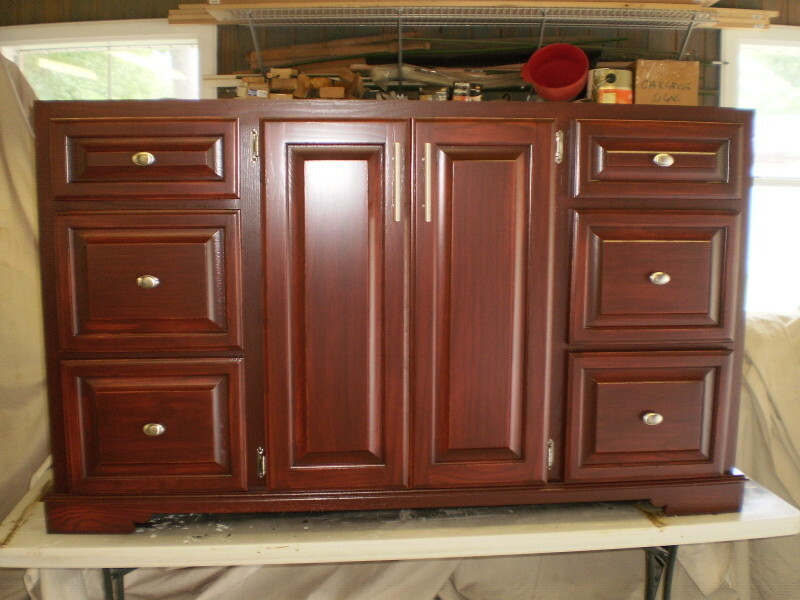 A customer had this bathroom cabinet built and needed it finished. 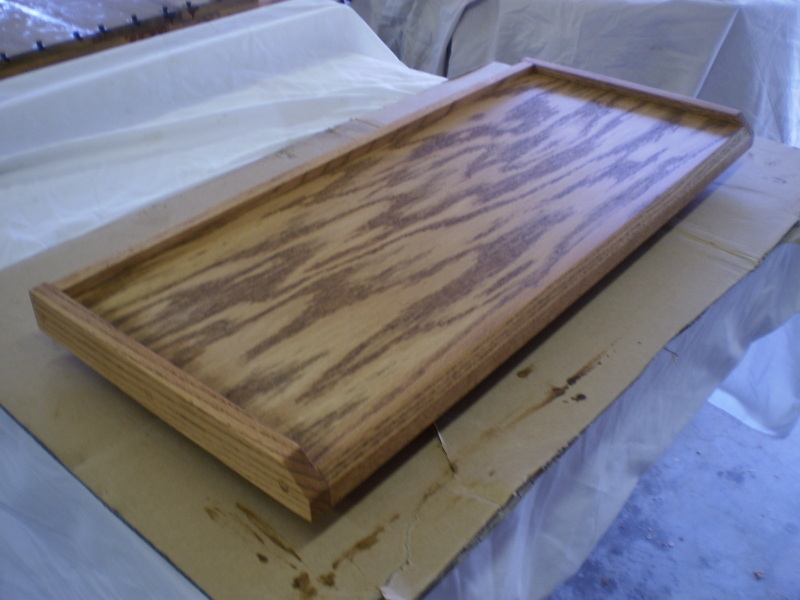 I stained it with a custom stain mix and then sprayed conversion varnish as a topcoat. 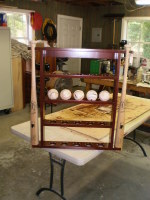 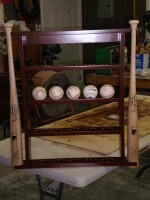 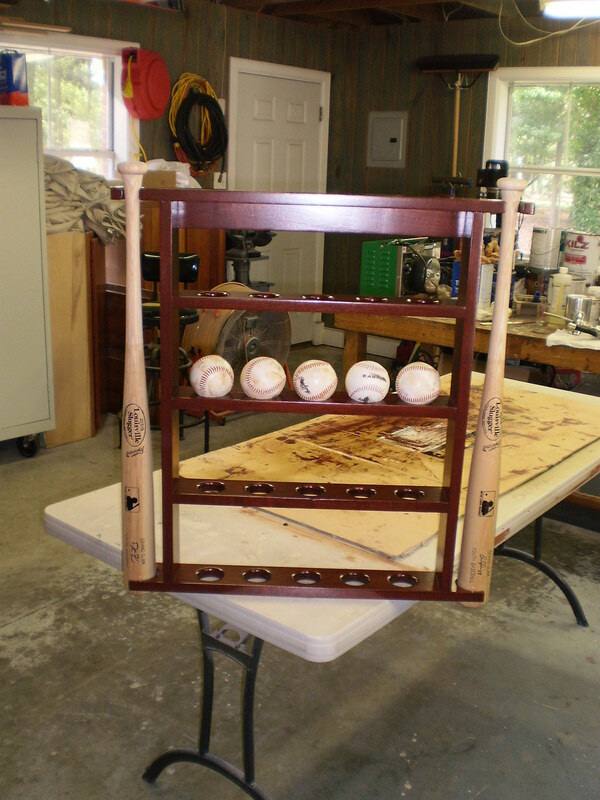 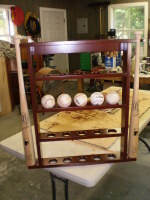 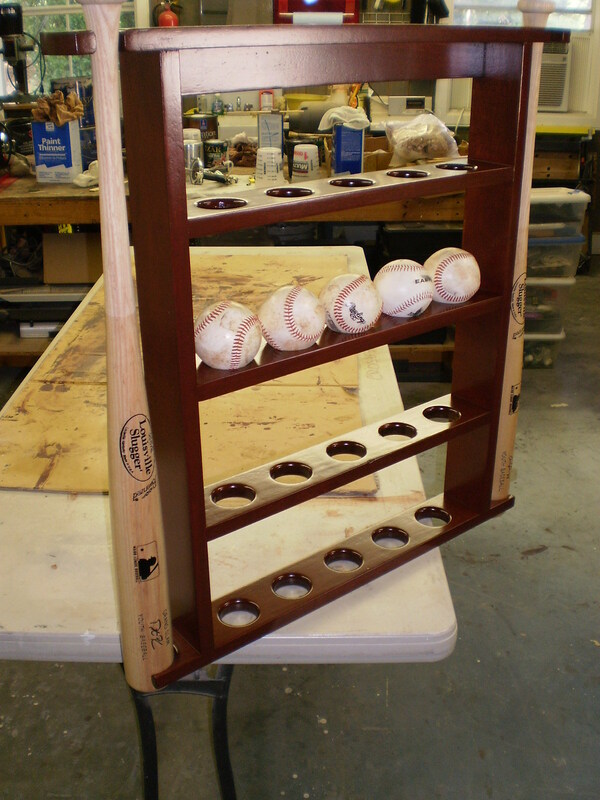 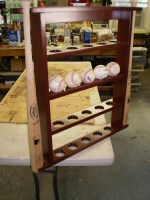 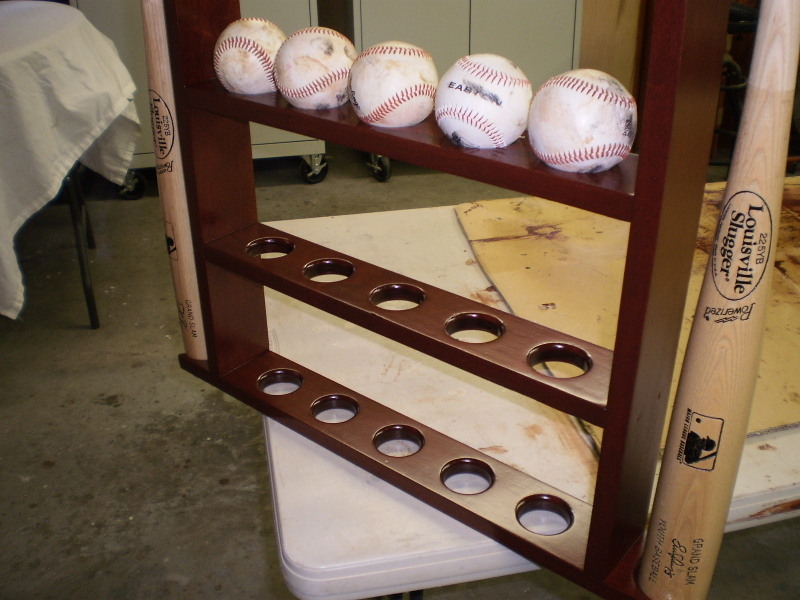 A customer wanted me to construct a baseball rack that would hold 2 bats and a few baseballs. 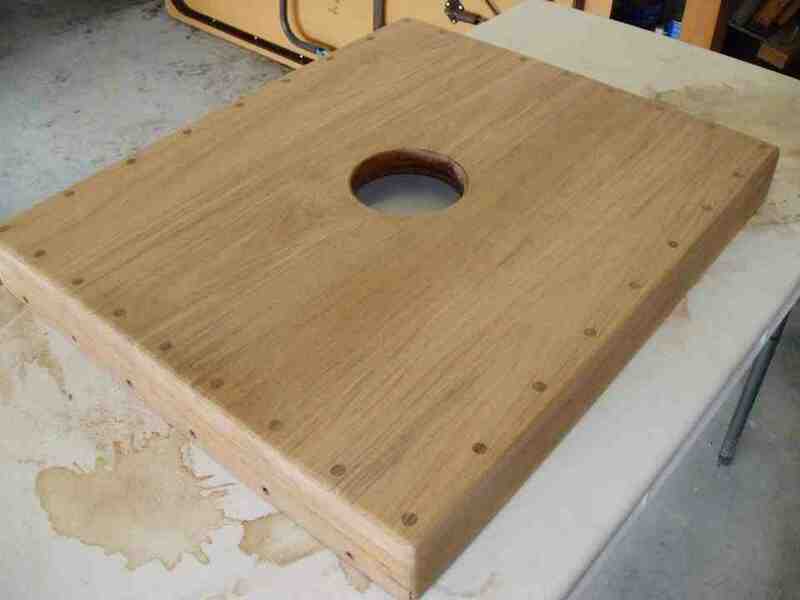 I searched online for some examples and wasn't satisfied with any I saw, so I came up with this design. 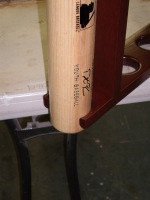 The bats are still usable and are secure in place. 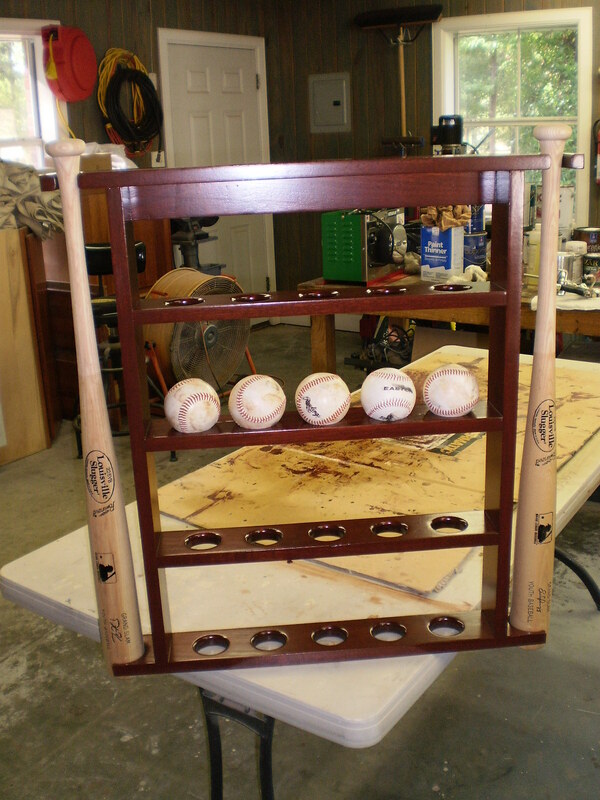 The rack holds up to 20 baseballs. 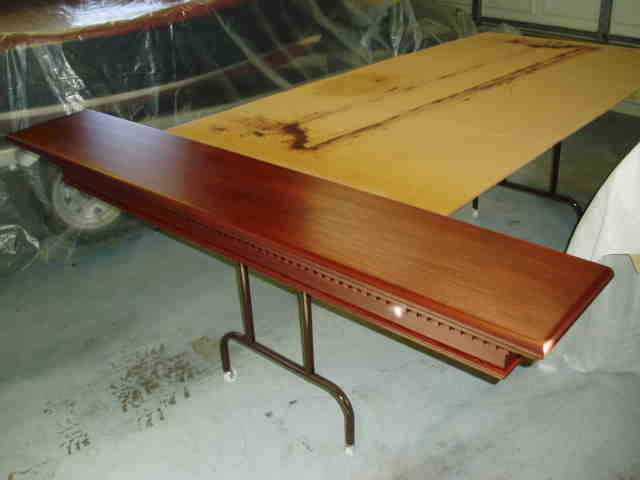 I made the rack out of Spanish Cedar, stained it with a mahogany stain, and then coated with conversion varnish.